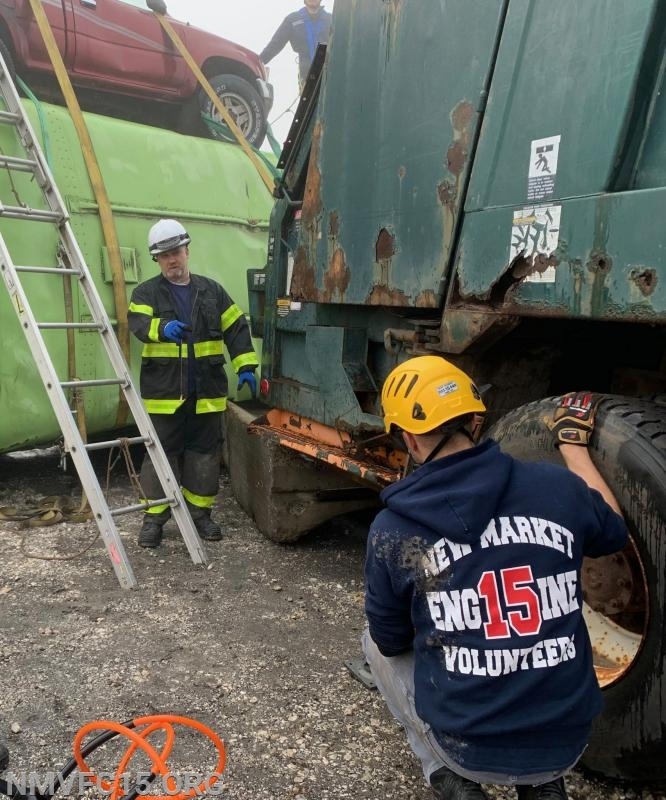 This weekend was a very busy for New Market Volunteers. 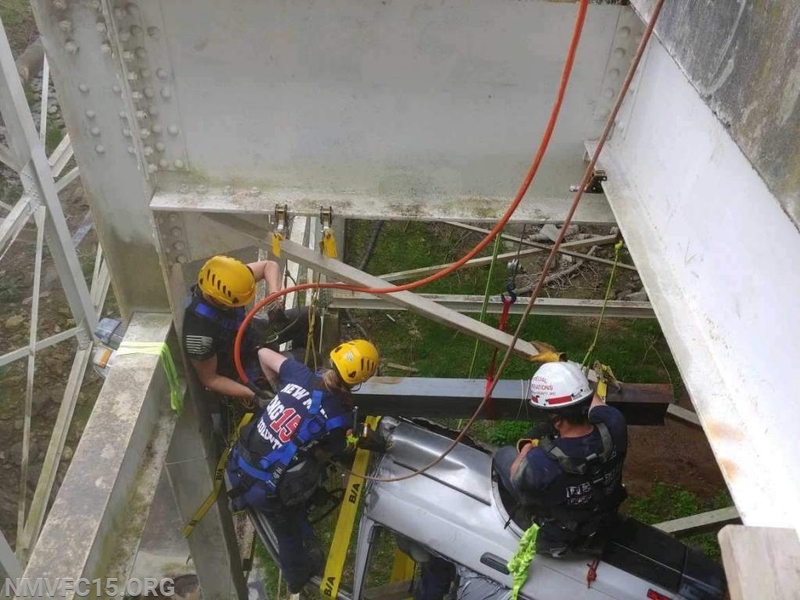 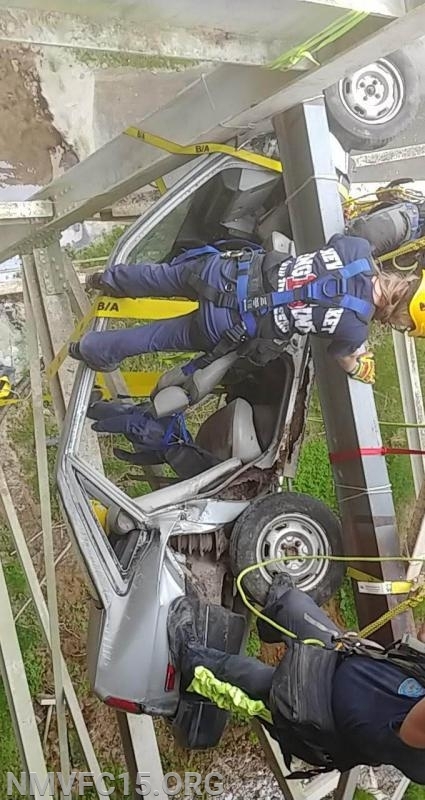 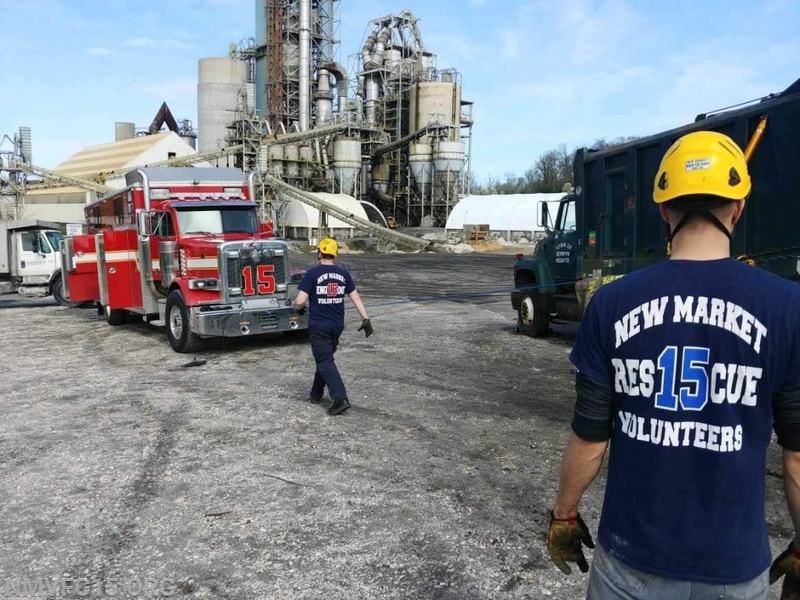 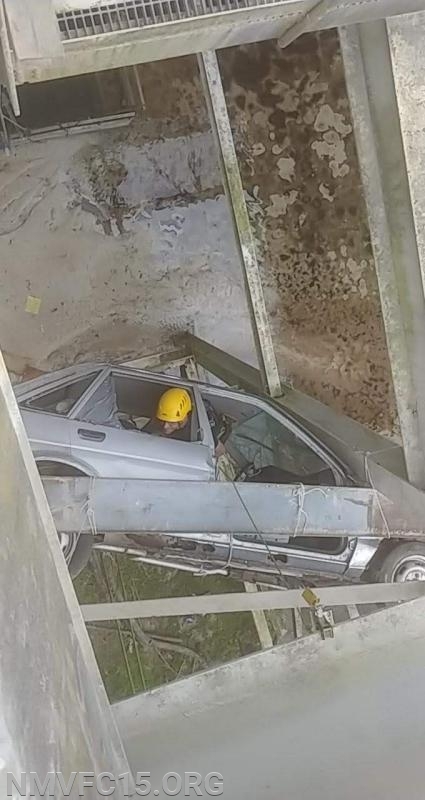 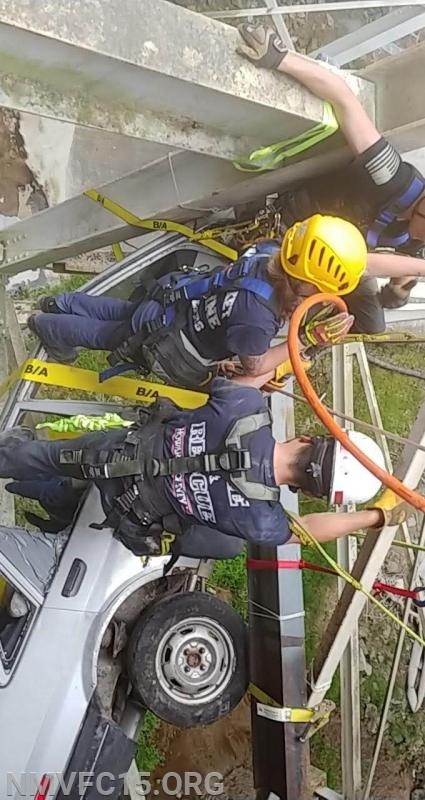 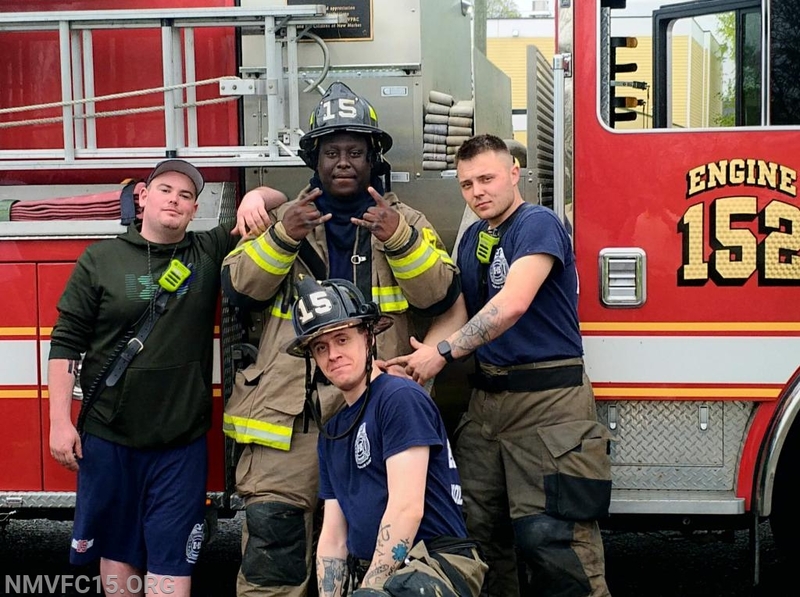 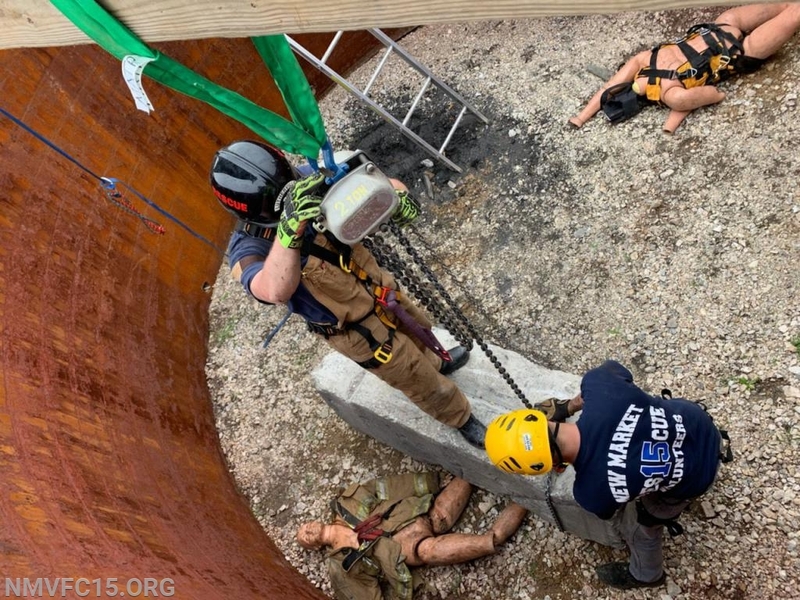 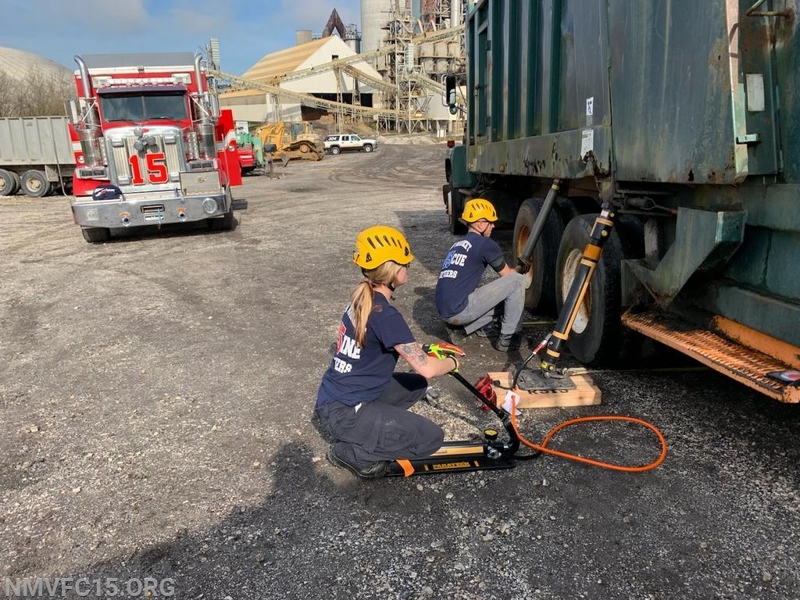 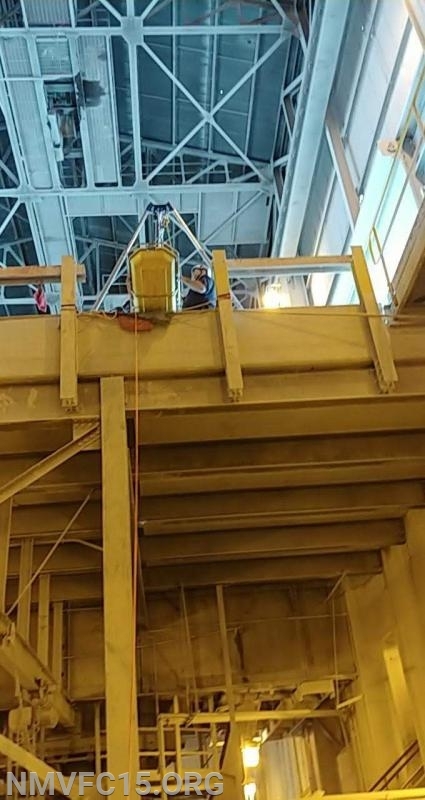 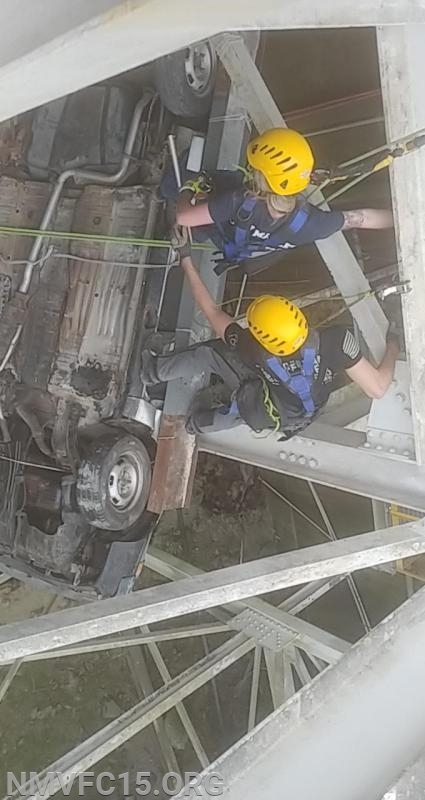 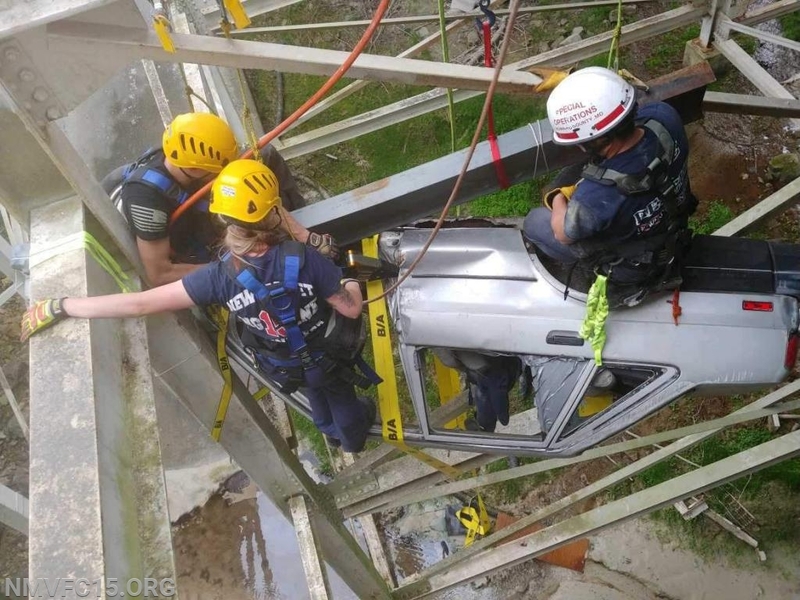 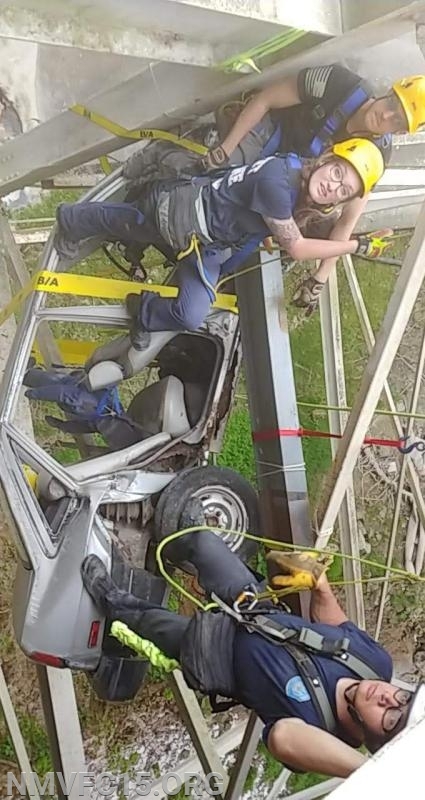 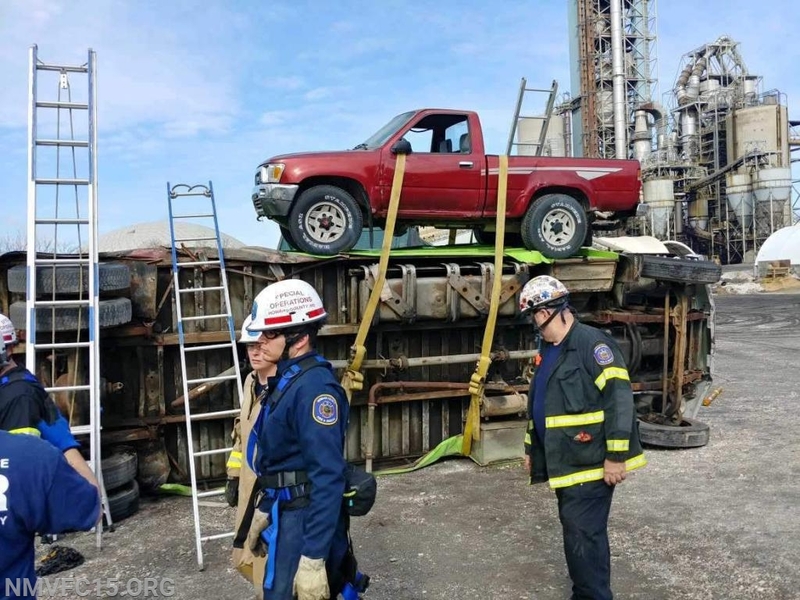 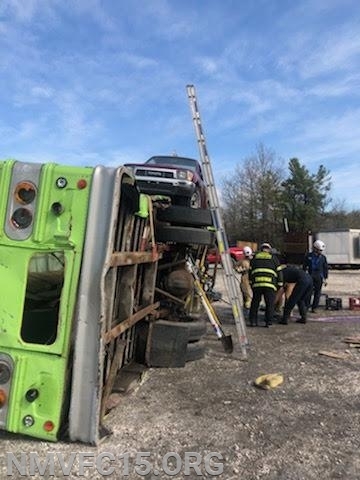 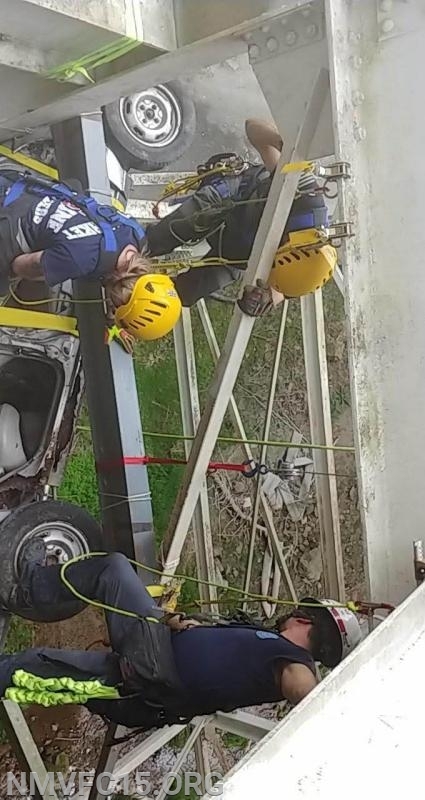 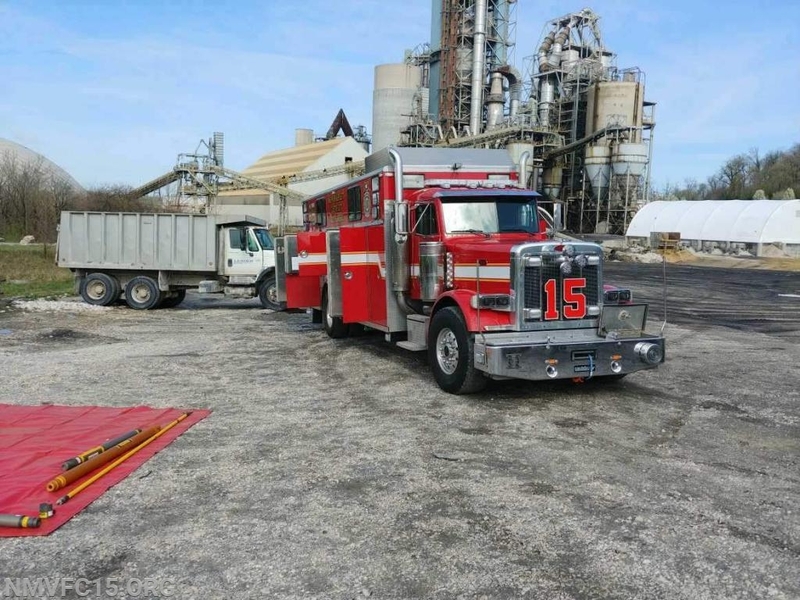 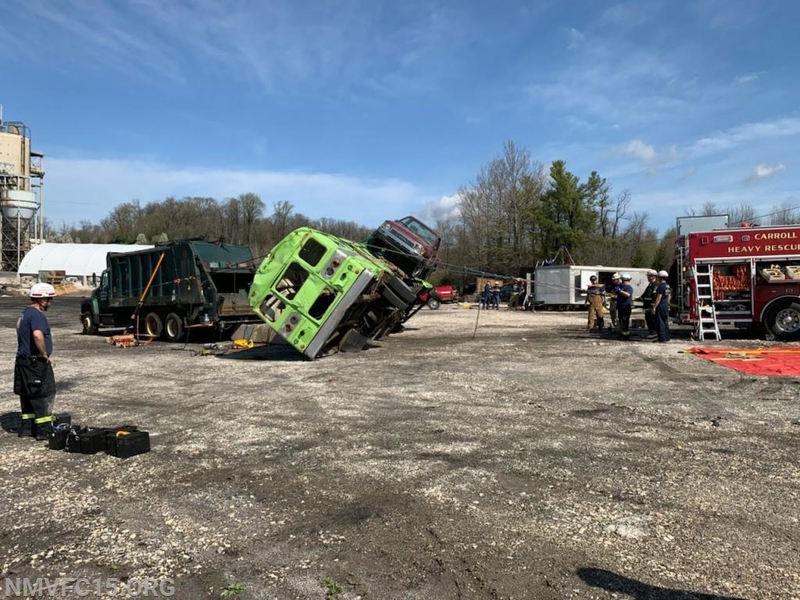 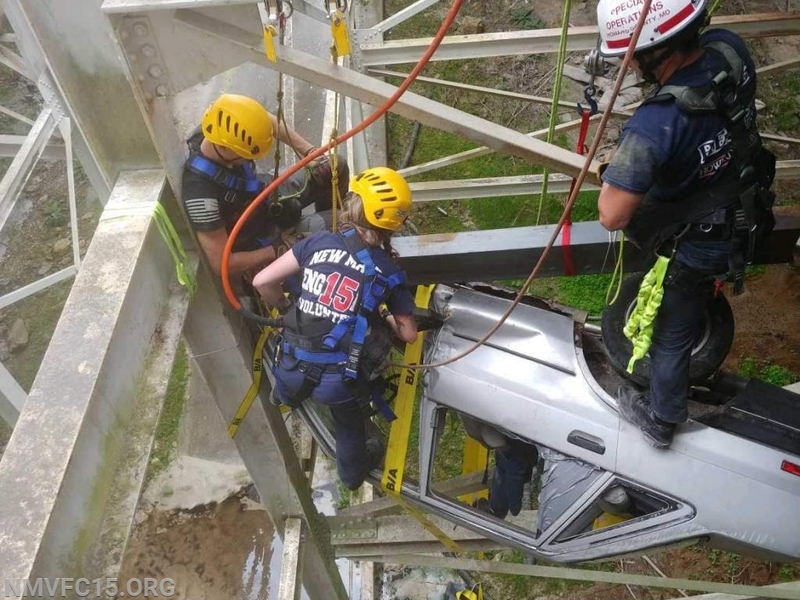 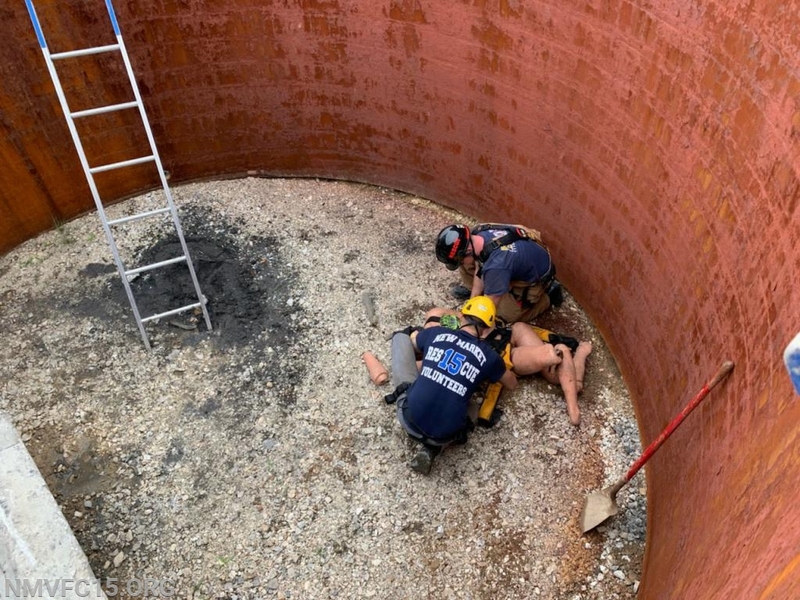 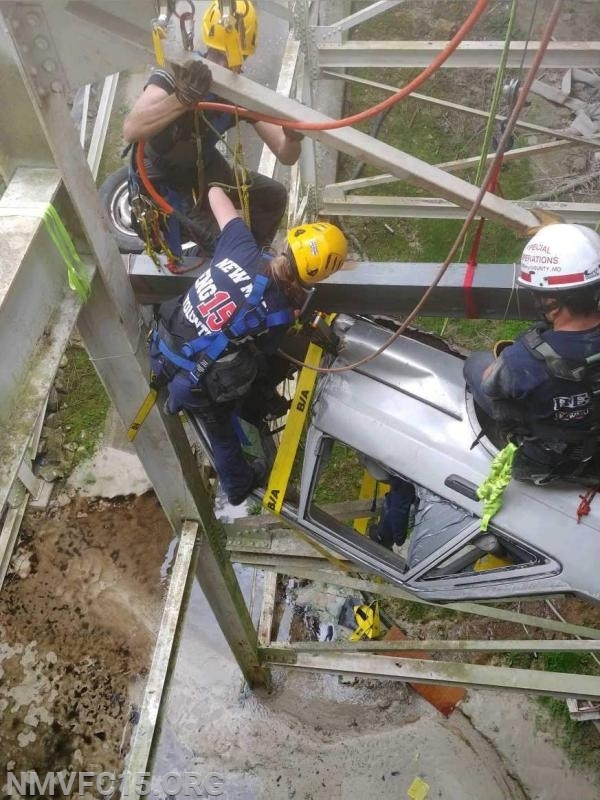 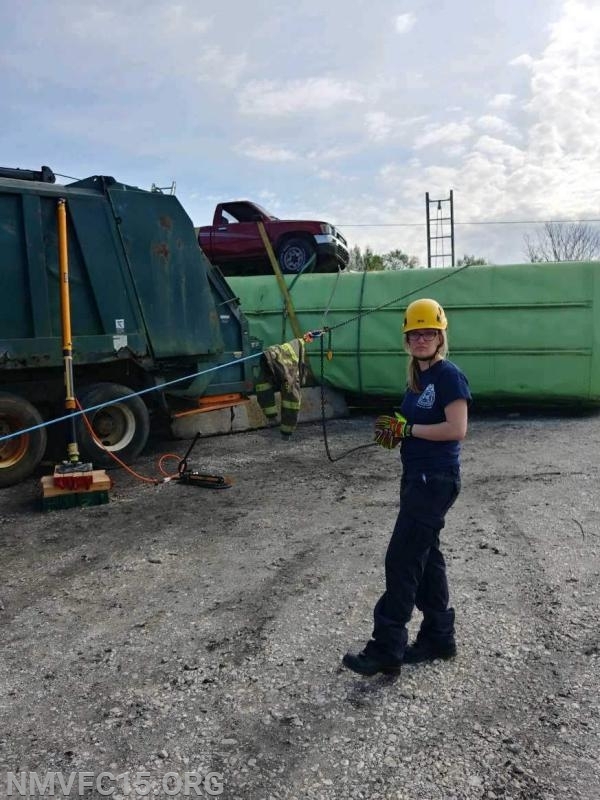 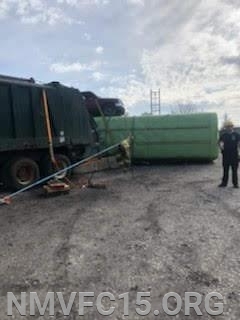 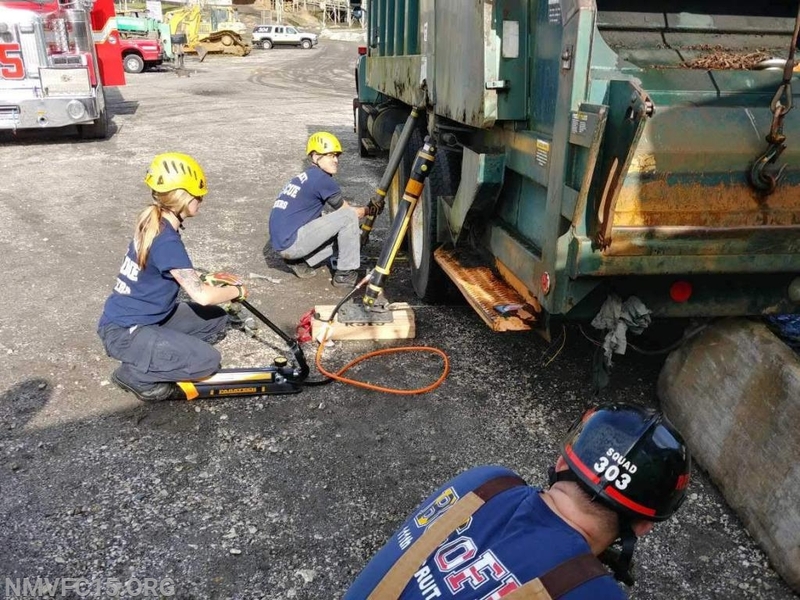 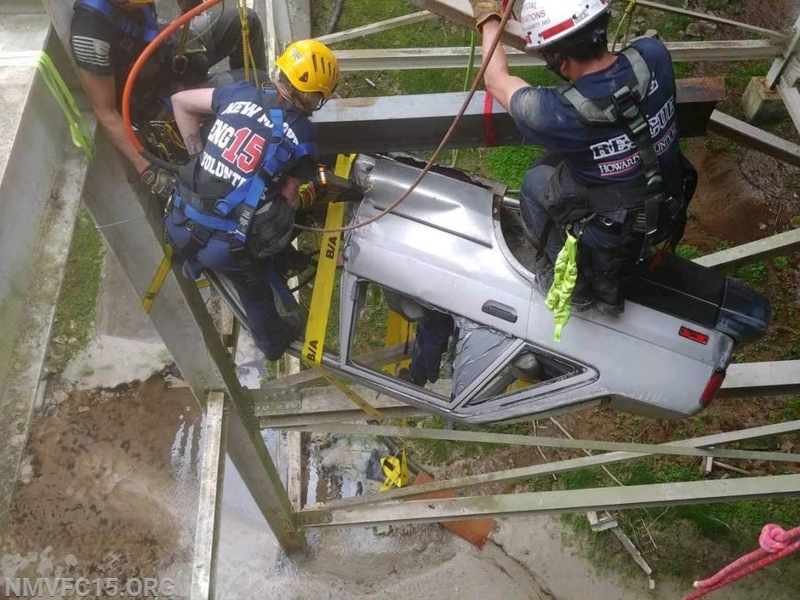 Starting on Rescue Squad 15 Training Through Mid Atlantic Technical Rescue on 4/12/19 - 4/14/19. 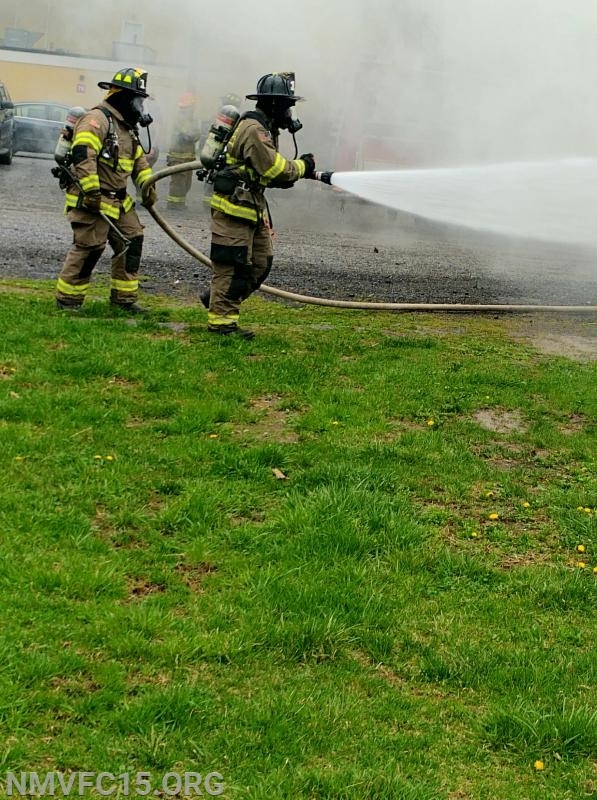 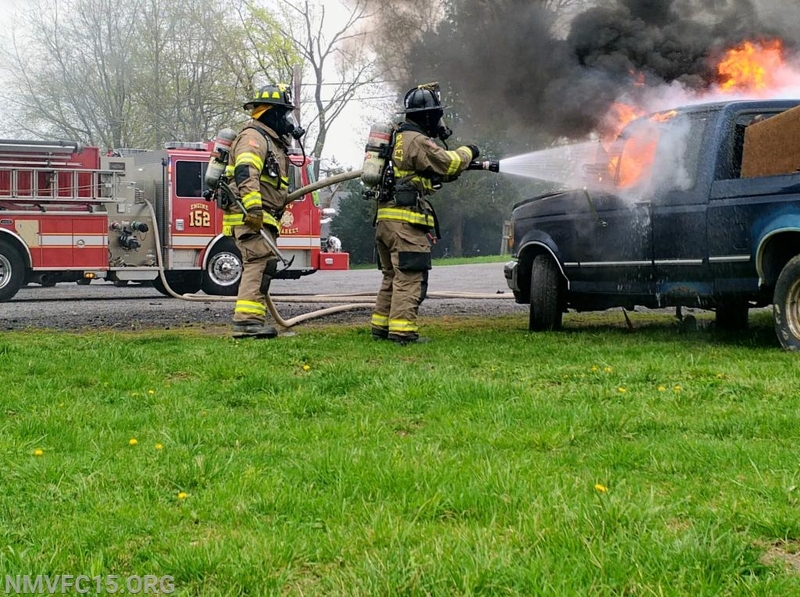 While many volunteers were away with that training our Firefighters from Engine 152 trained on vehicle fires and extinguishing. 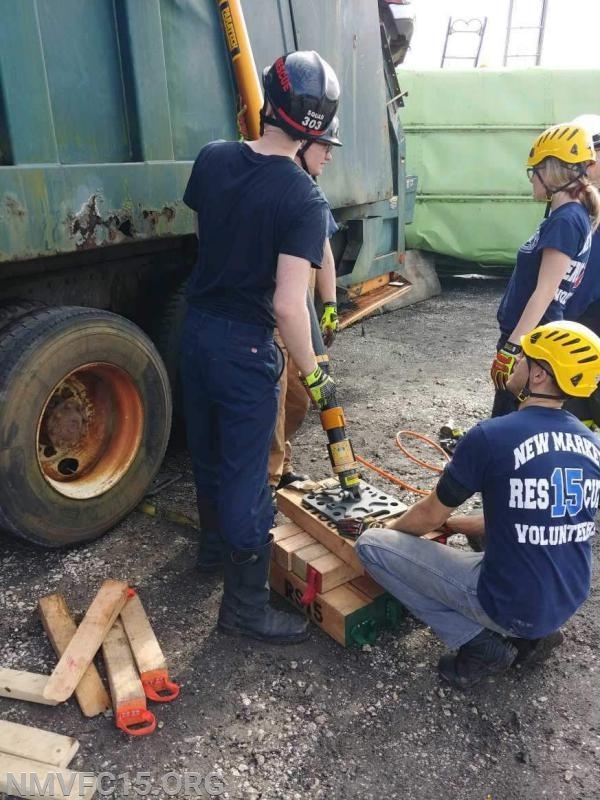 Both on Saturday during the Volunteer Recruitment Day and also on Sunday during a standard training for a duty crew. 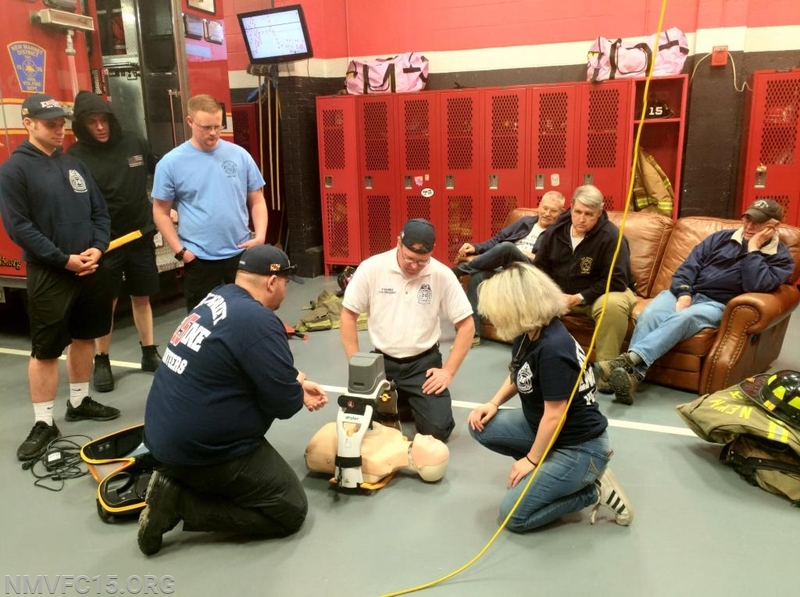 Last but certainly not least our EMS team ensured that all of our staff became trained on how to use the new "Lucas 3" device New Market Volunteer Fire Company purchased. 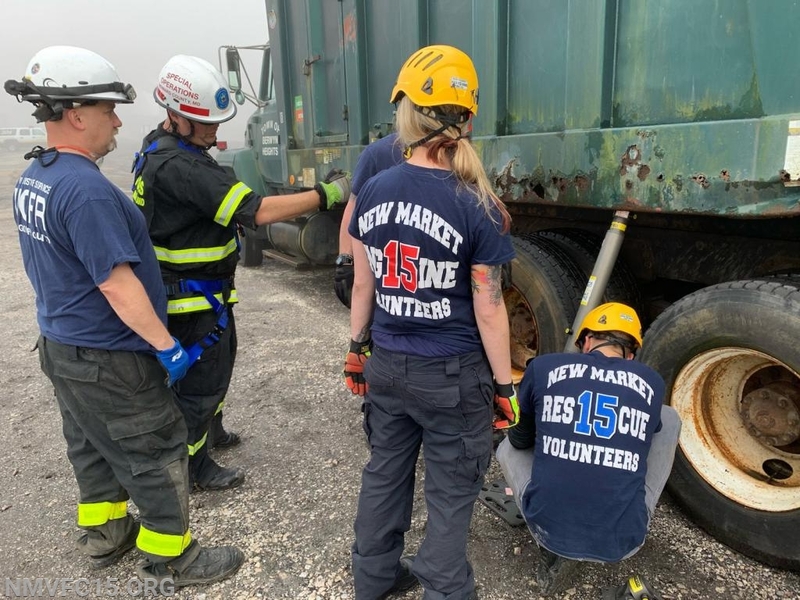 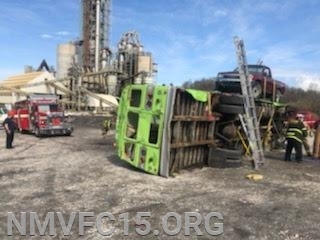 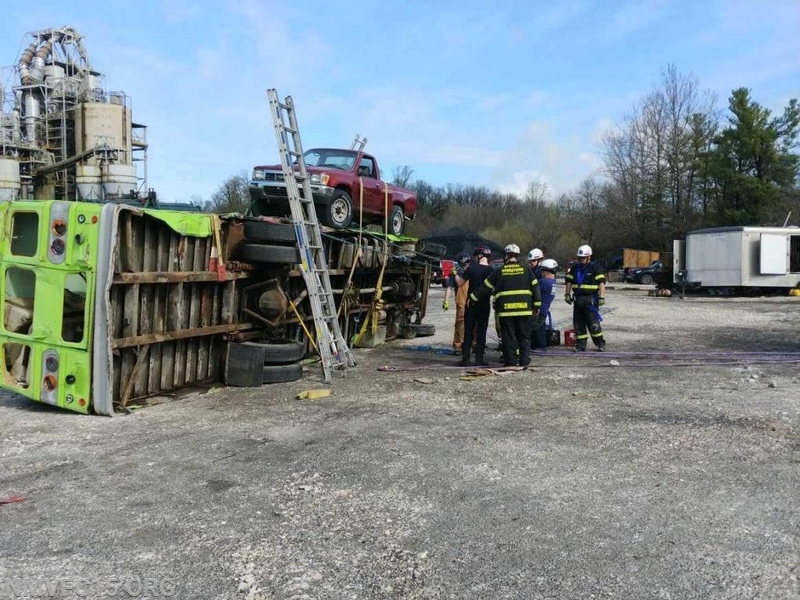 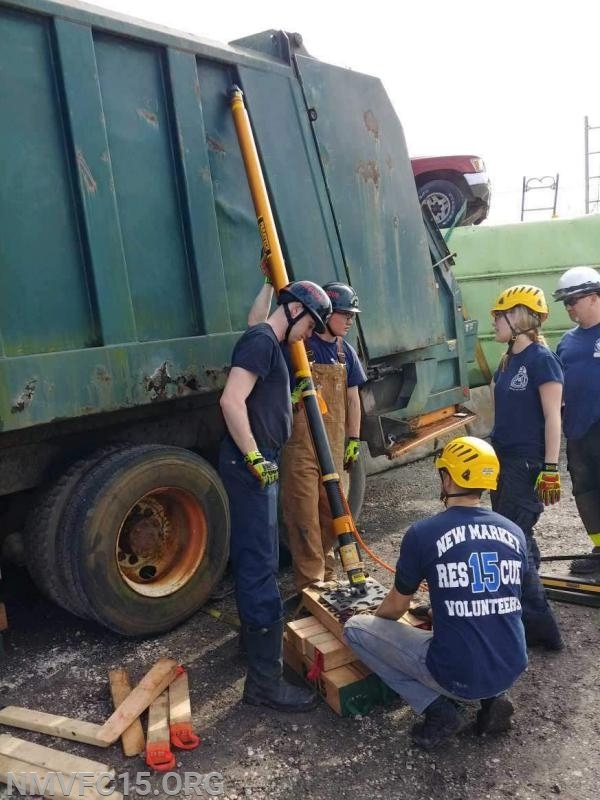 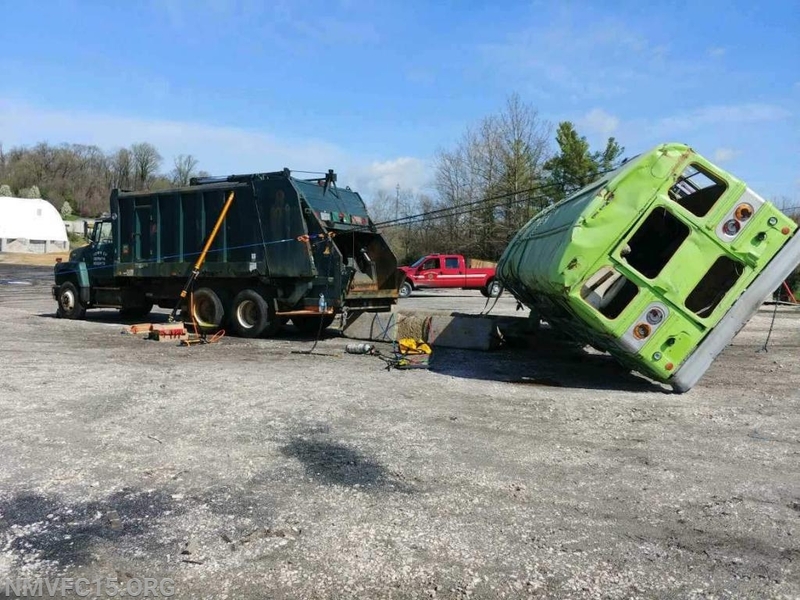 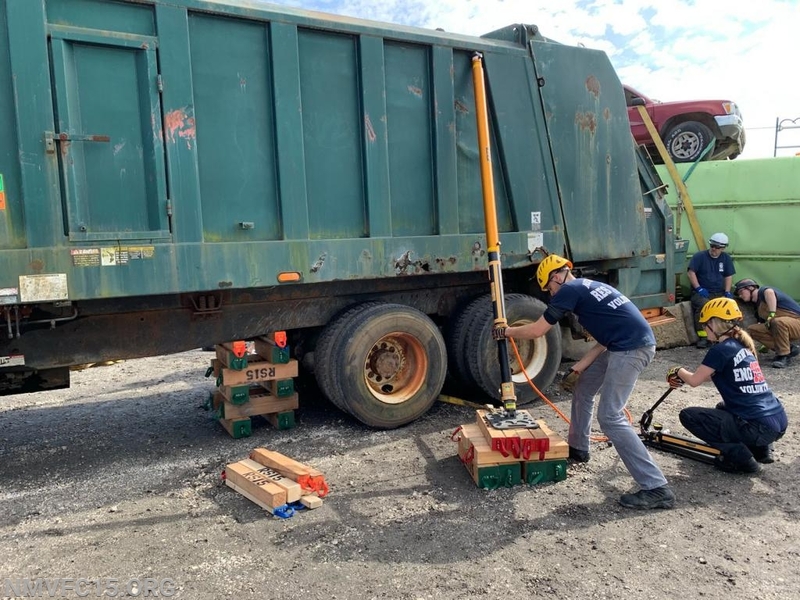 Rescue Squad 15 - Volunteers trained for 3 long days learning and drilling on vehicle / machinery extraction and technical rescue scenarios. 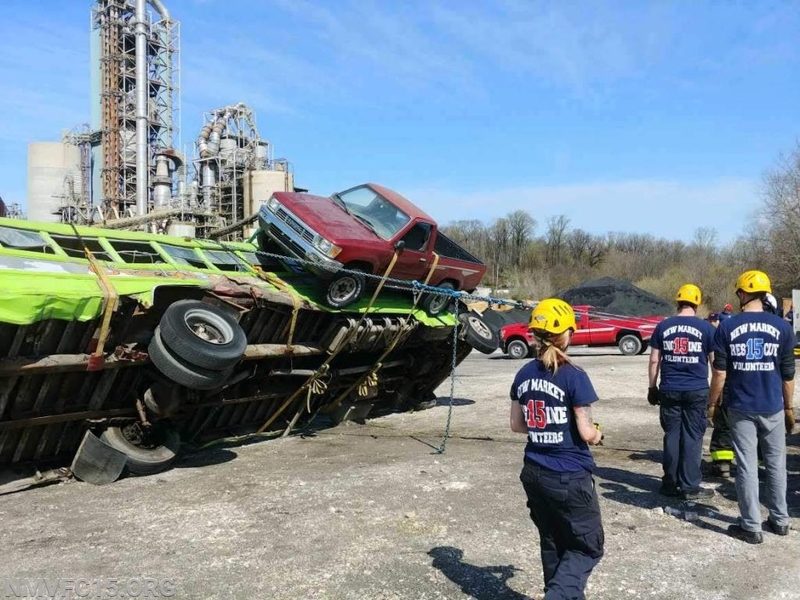 Scenarios keep our volunteers at a top notch training standard. 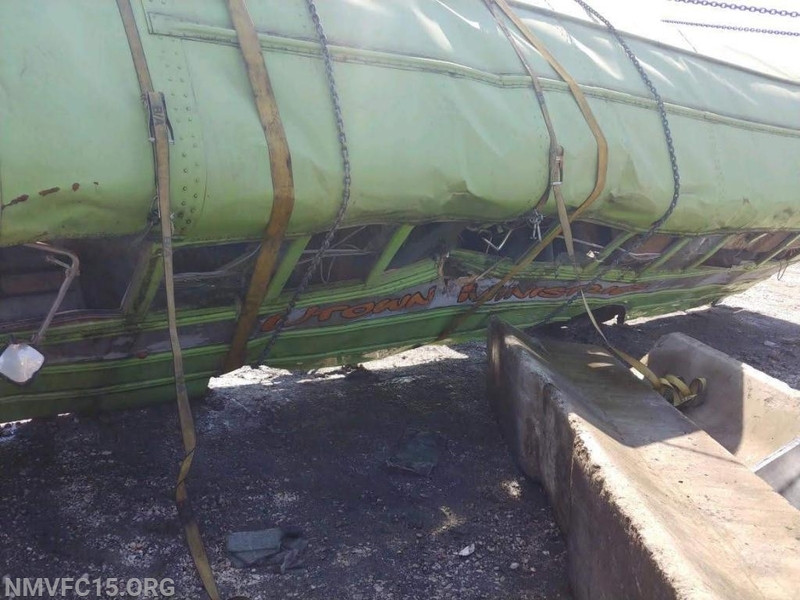 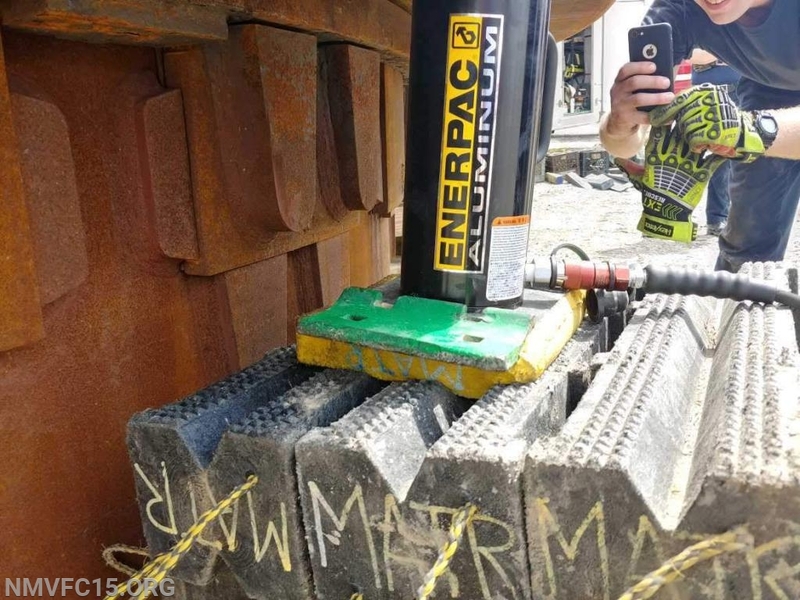 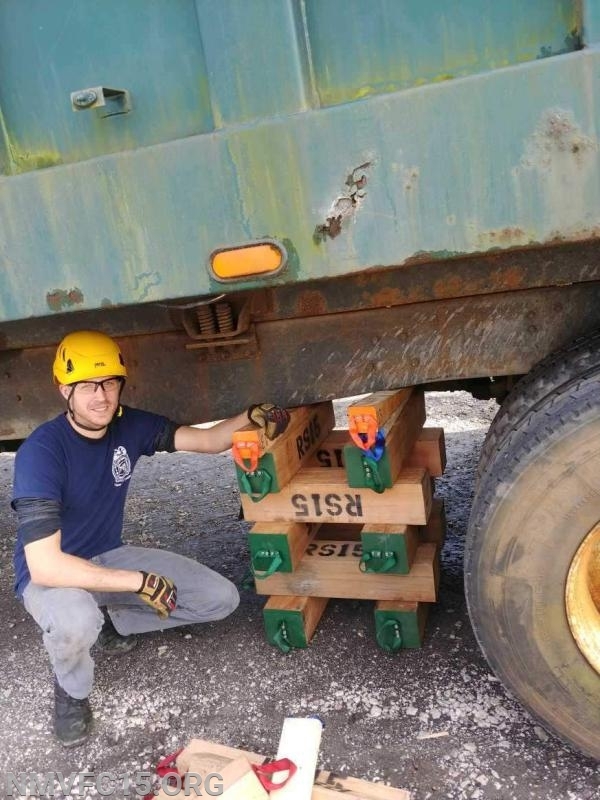 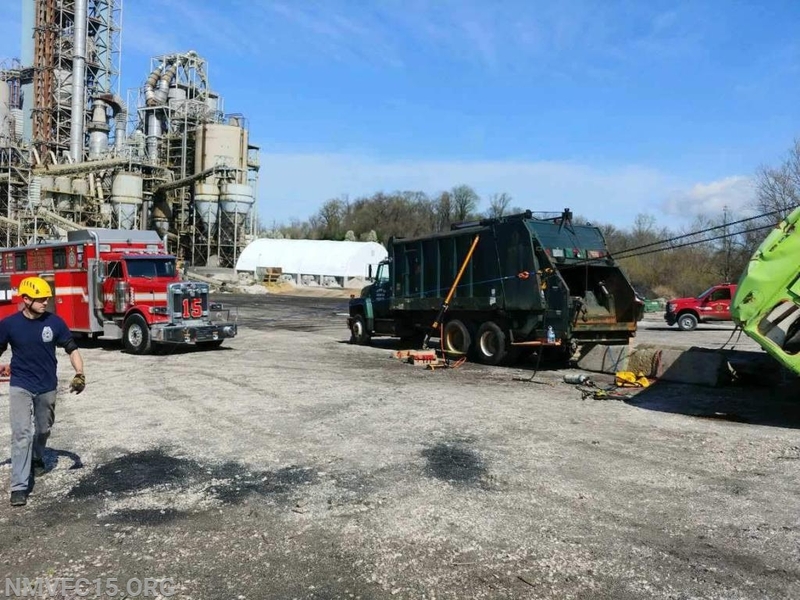 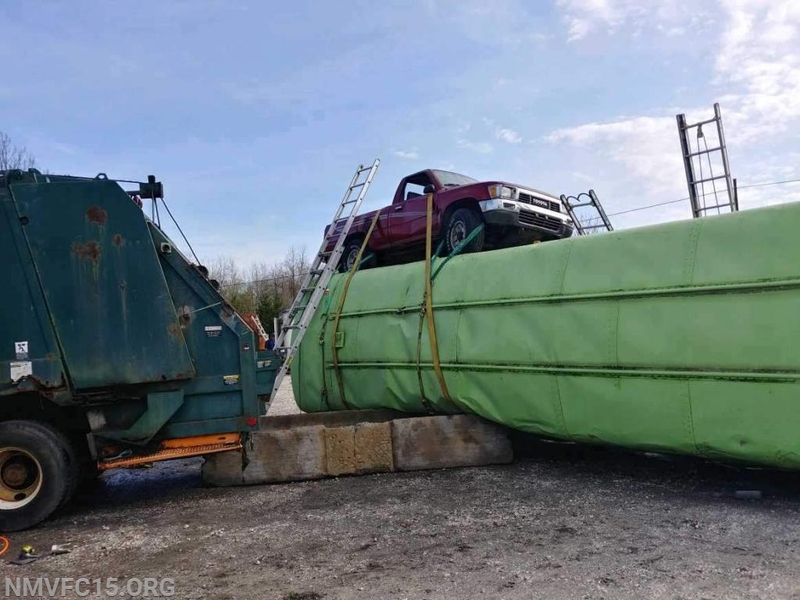 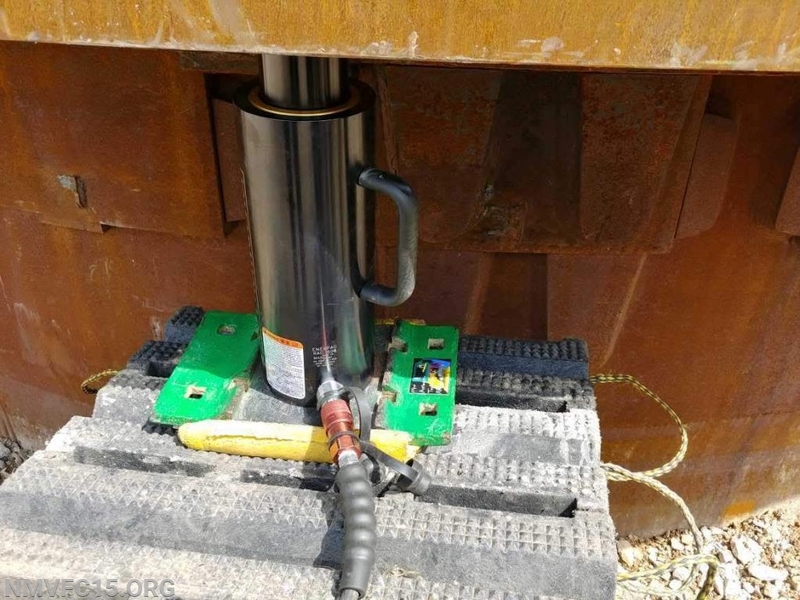 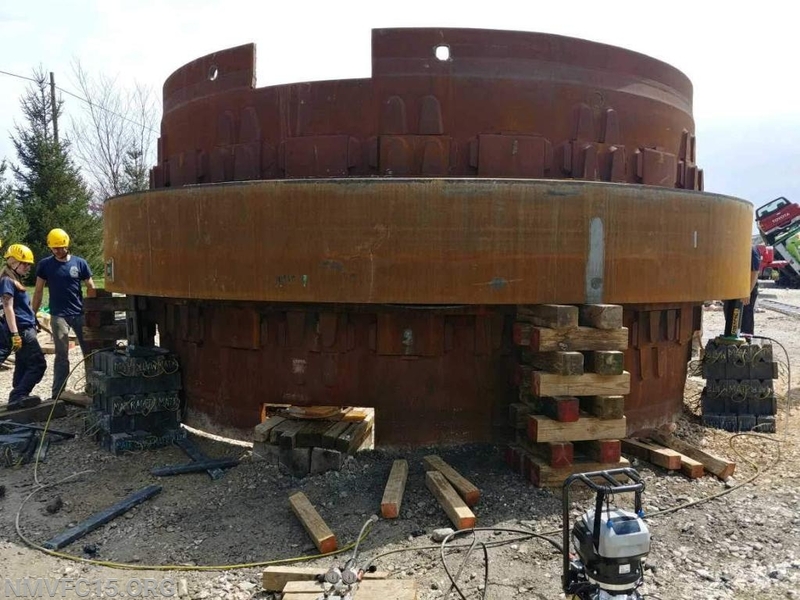 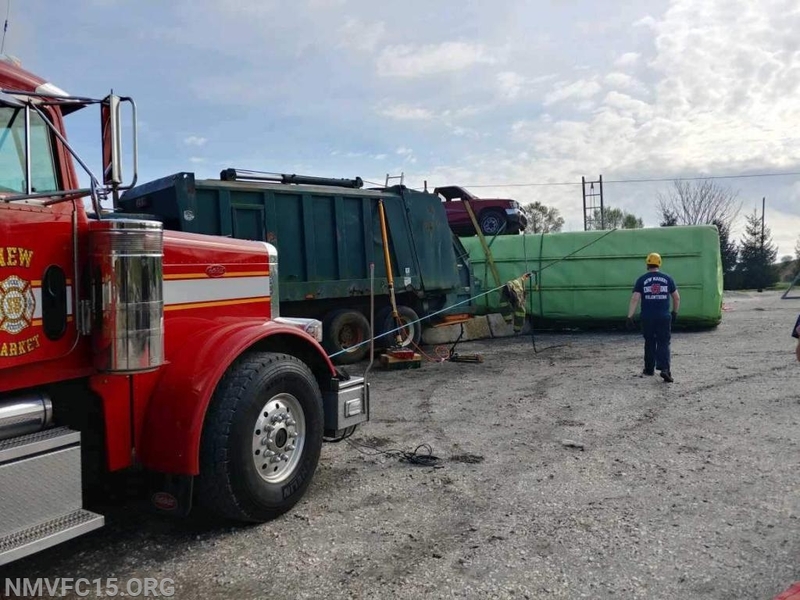 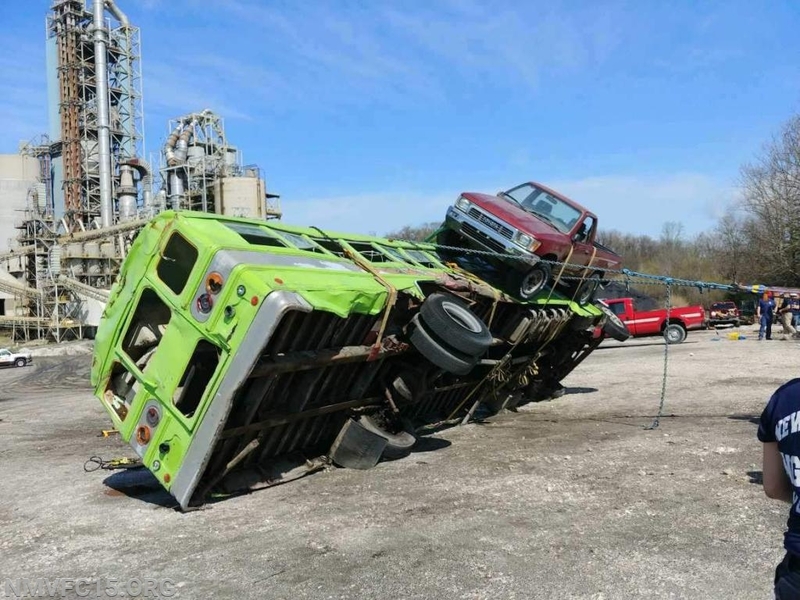 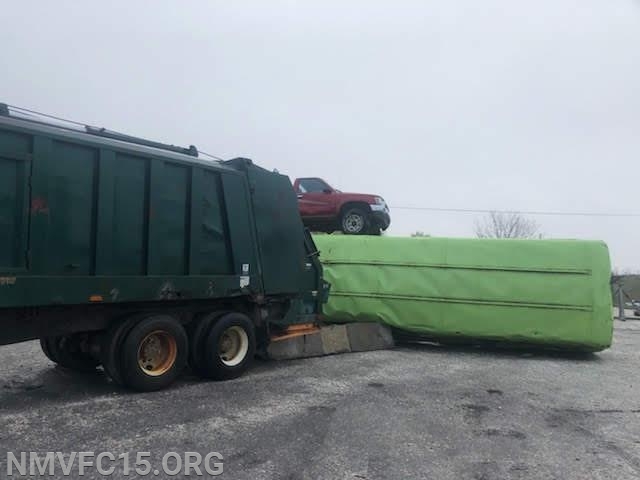 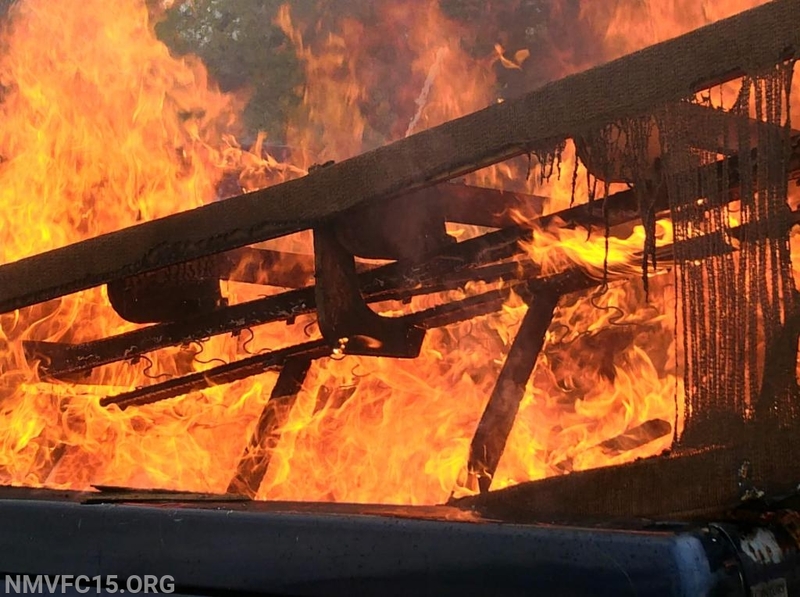 They lifted big trucks, pulled "victims" with an A frame, and used cribbing blocks. 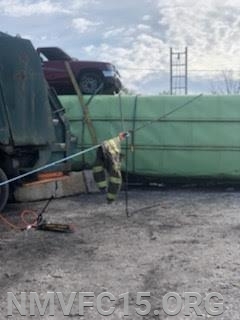 Between all the ropes and equipment it is hard to tell what was done. 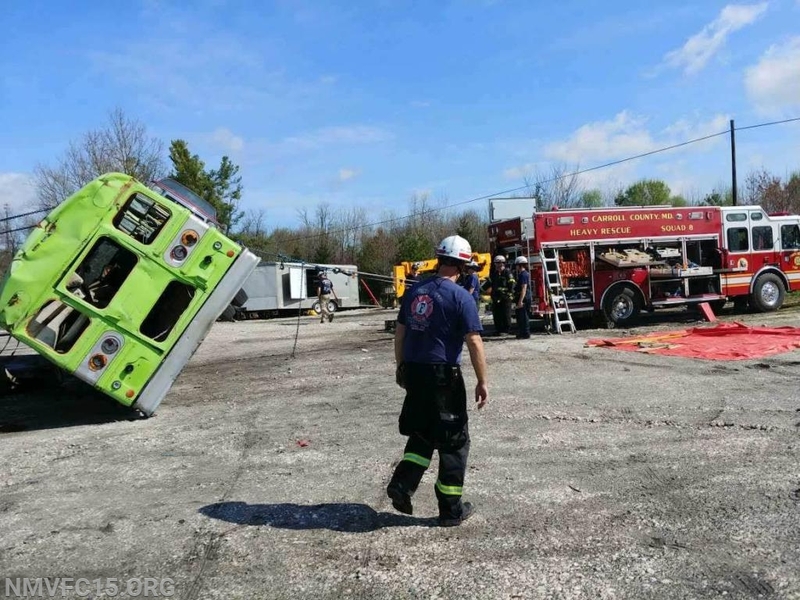 Ambulance 159- Trained during company training and through all 9 duty crews how to implement and successfully use the Lucas 3 device. 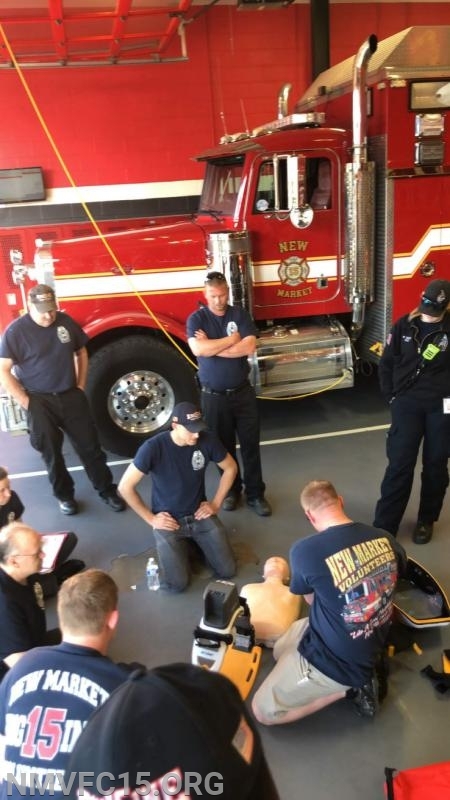 This device will assist First Responders in chest compressions for extended periods of time. 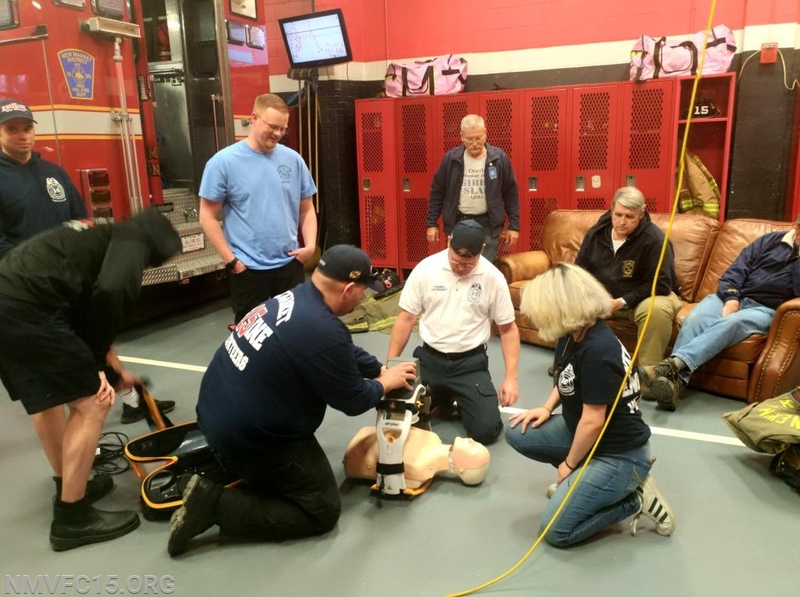 Once the need for CPR is established and started the Lucas 3 device can be placed around a patient and do the chest compressions. 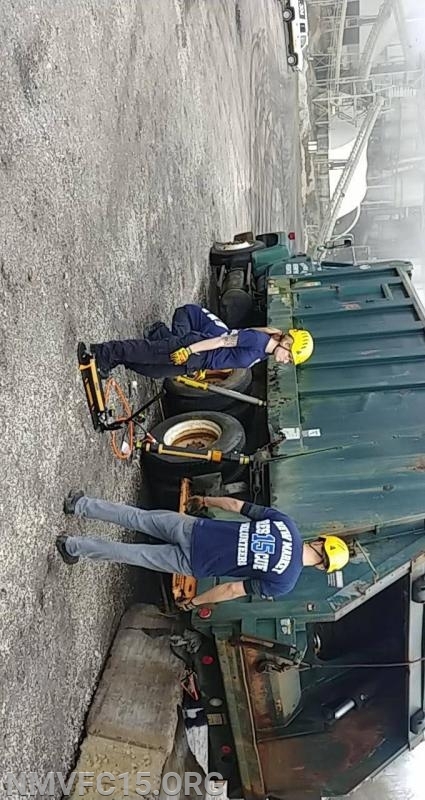 The amazing part is that it can be hooked up while CPR is currently being applied and will assist in transport on non responsive patients. 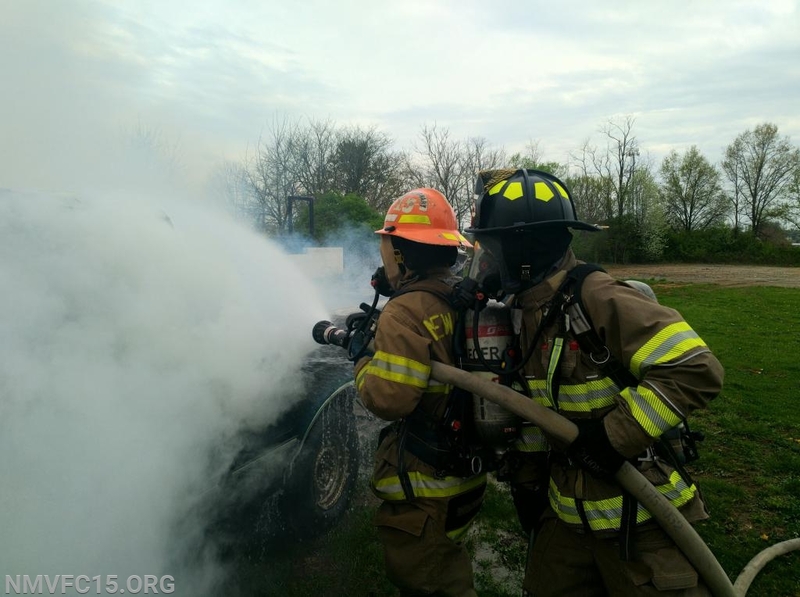 The Lucas 3 Device is now carried by our Ambulance 159. 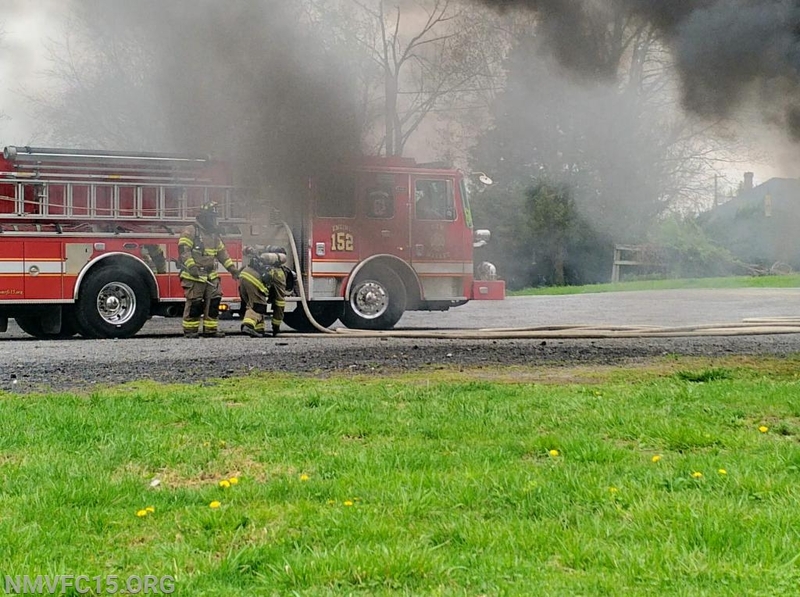 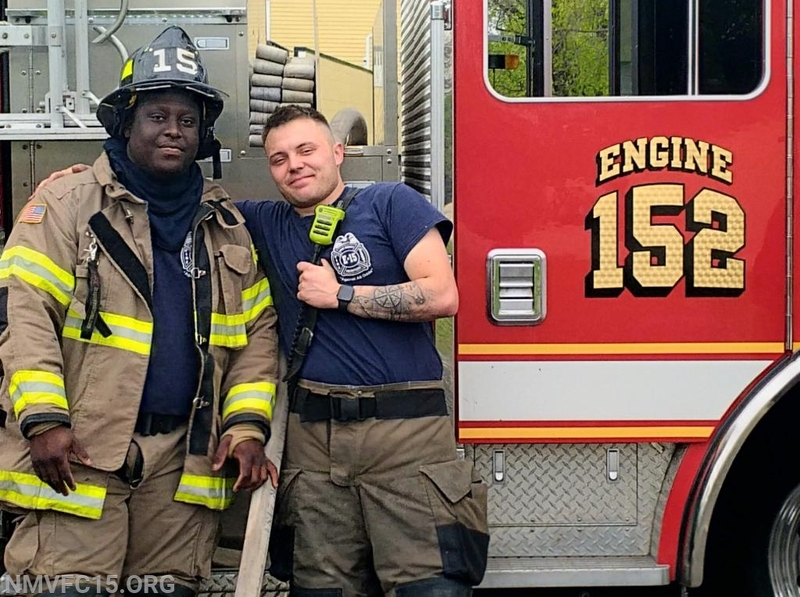 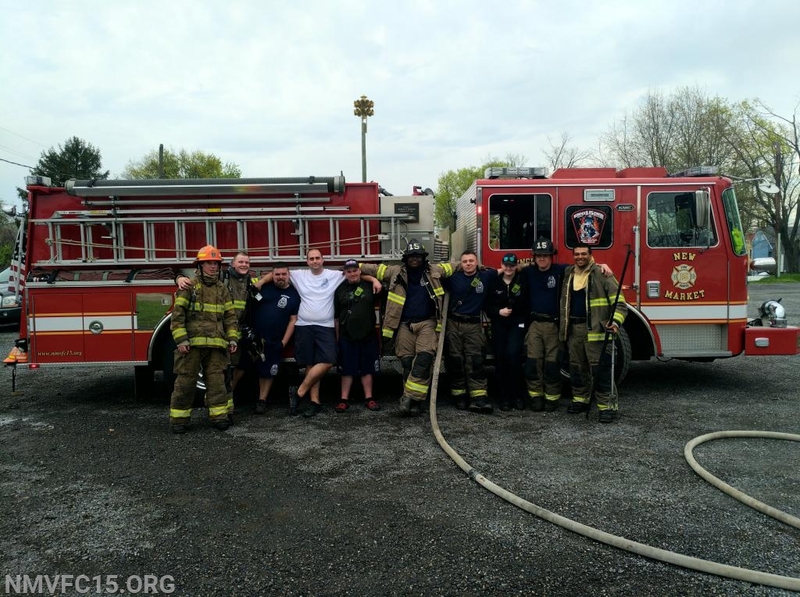 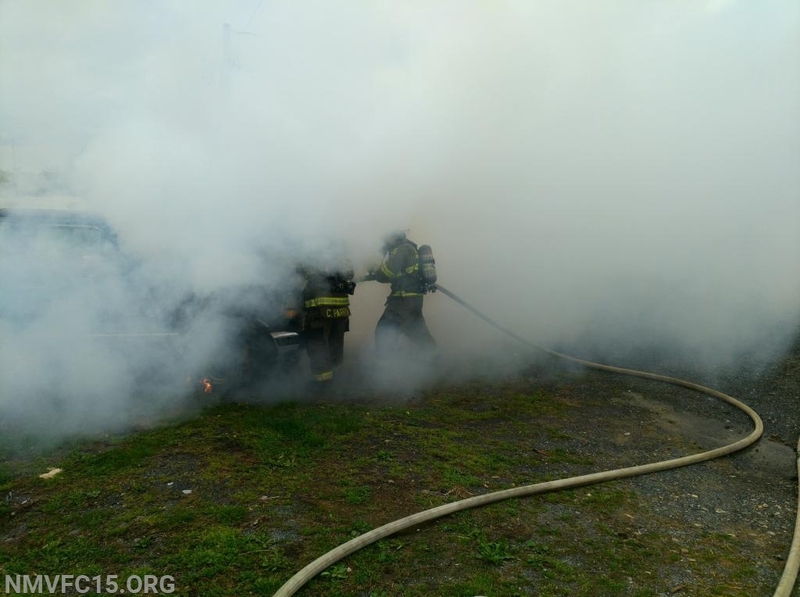 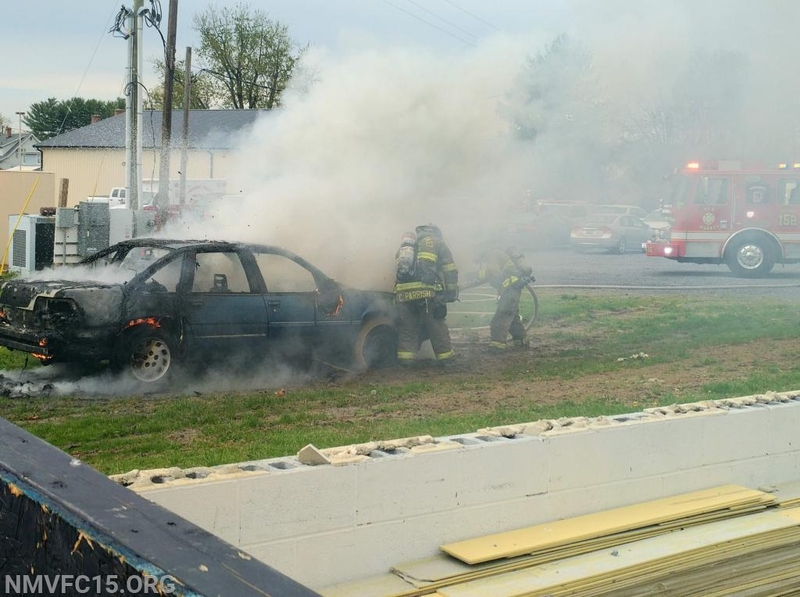 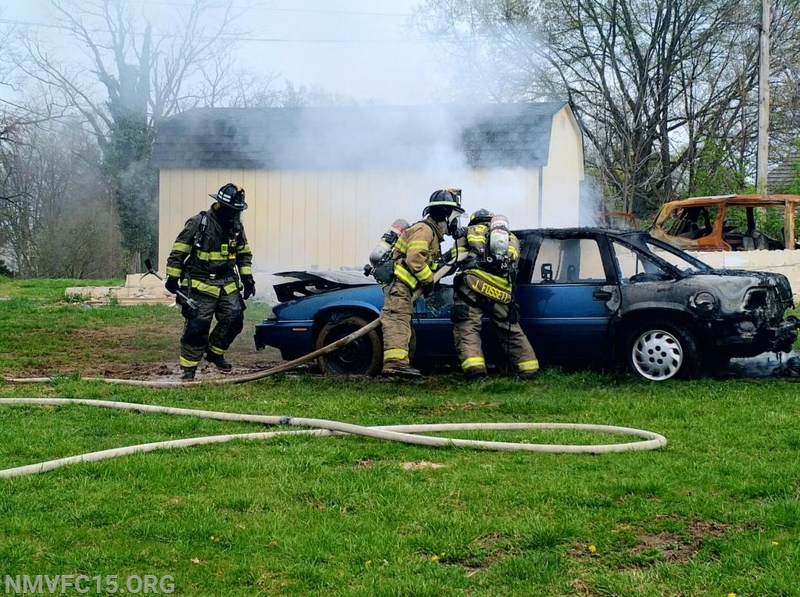 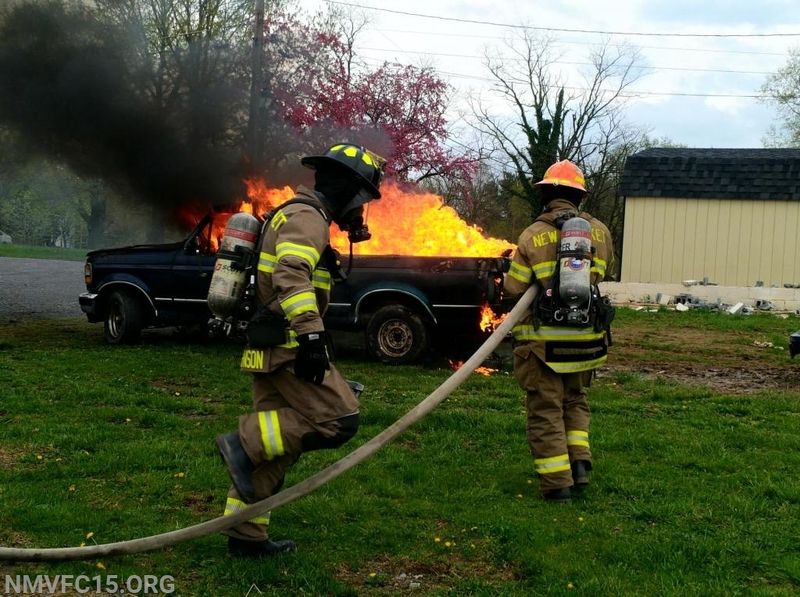 Engine 152- Trained and reacted to vehicle fires on 2 separate days and 2 separate vehicles. 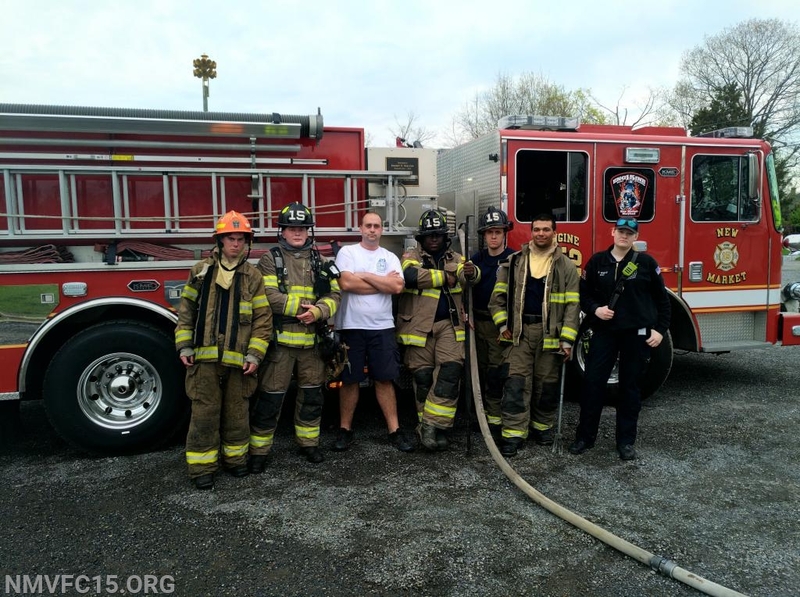 This was a great time to blow the house siren and let the town know how active we really are. 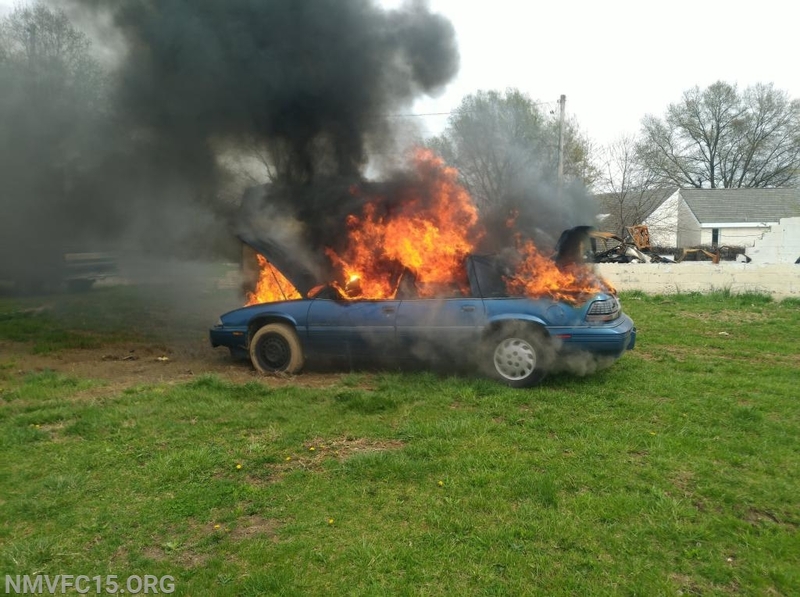 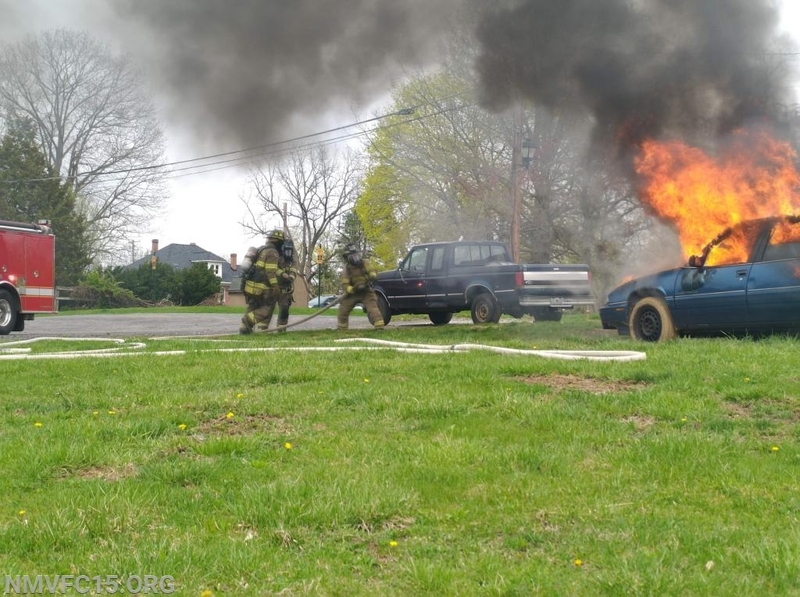 On Saturday the Engine responded in seconds, as soon as alerted, to a 4 door car fully involved upon arrival. 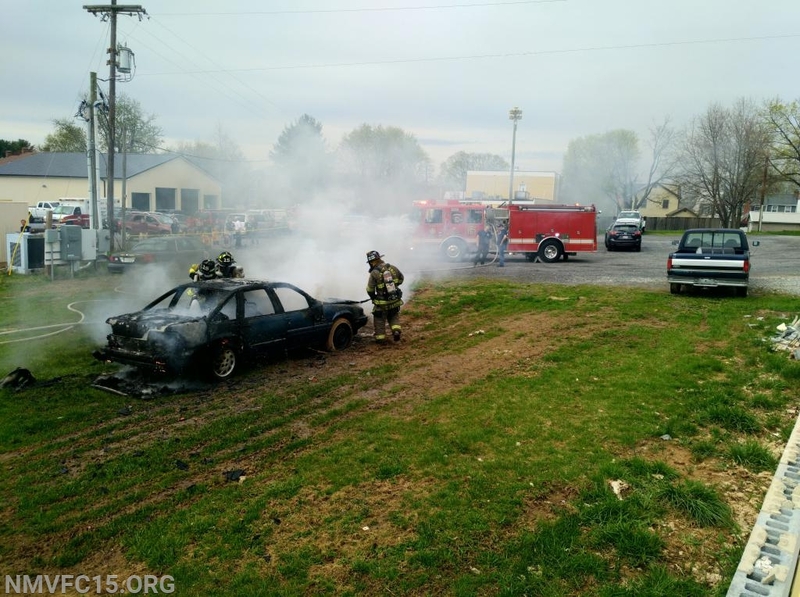 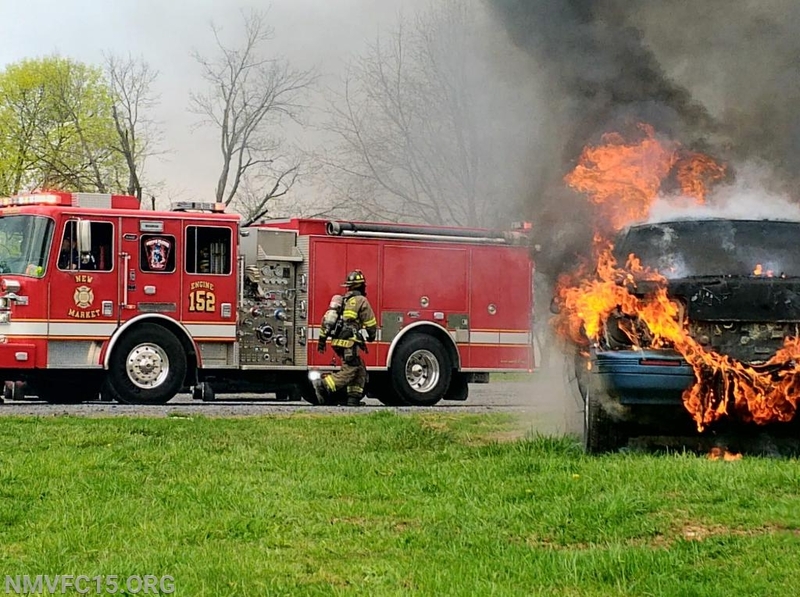 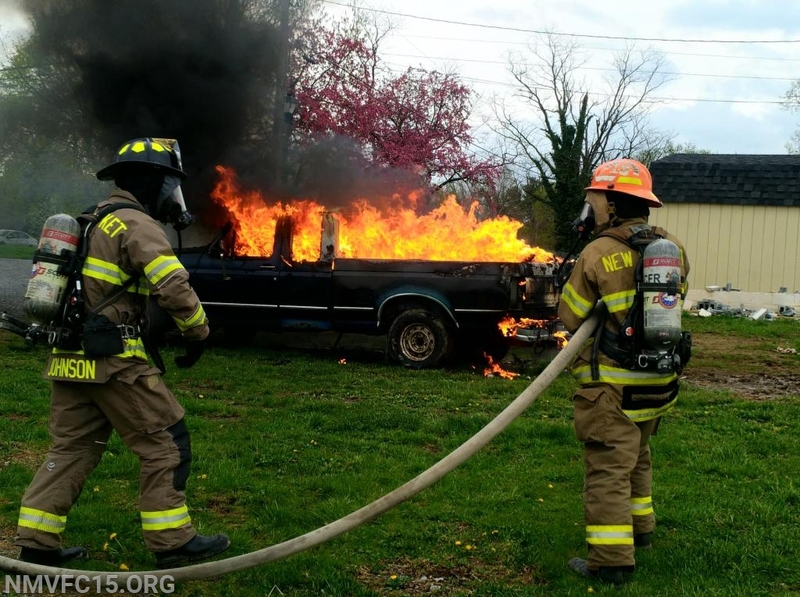 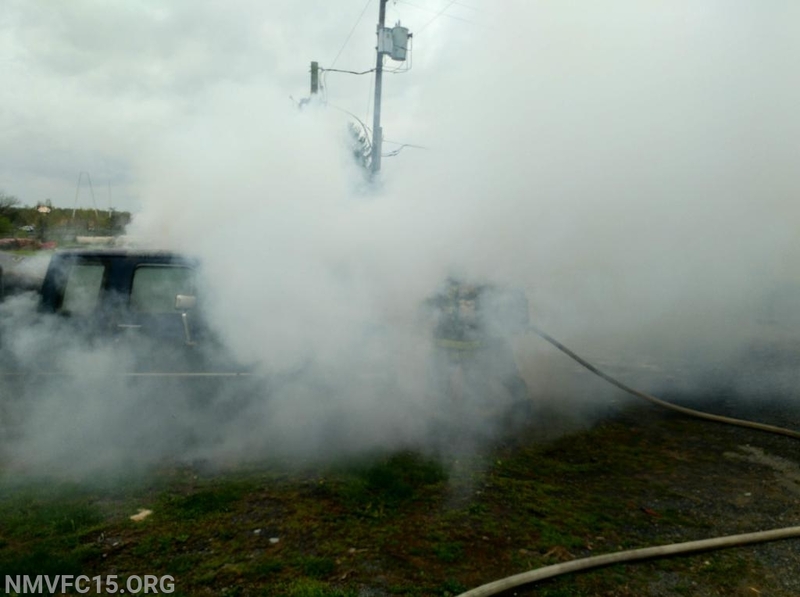 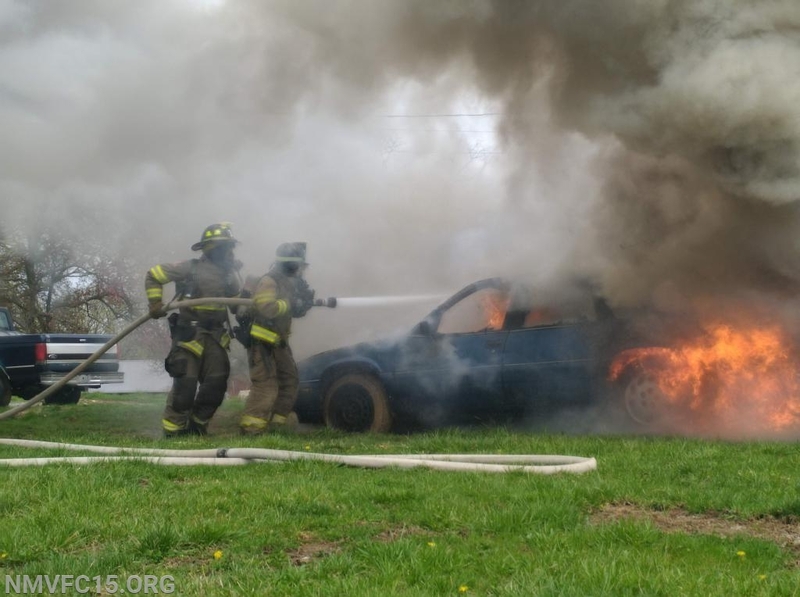 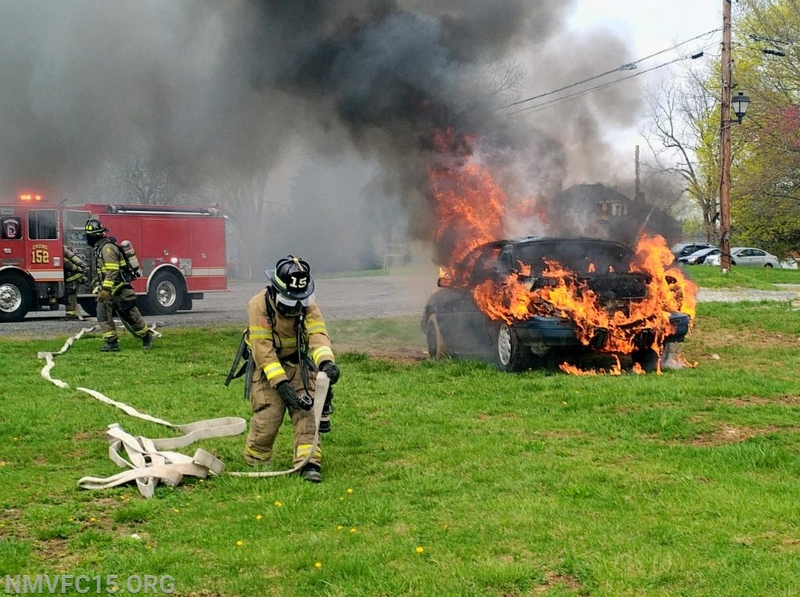 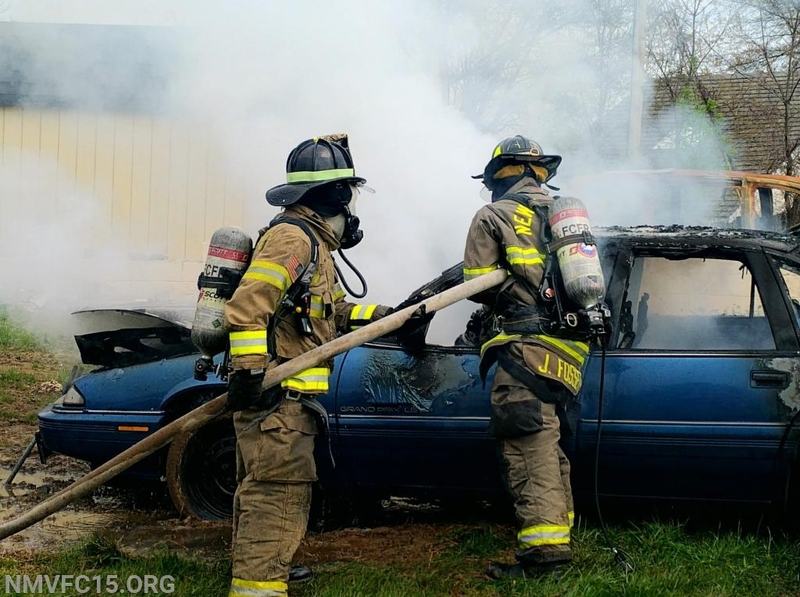 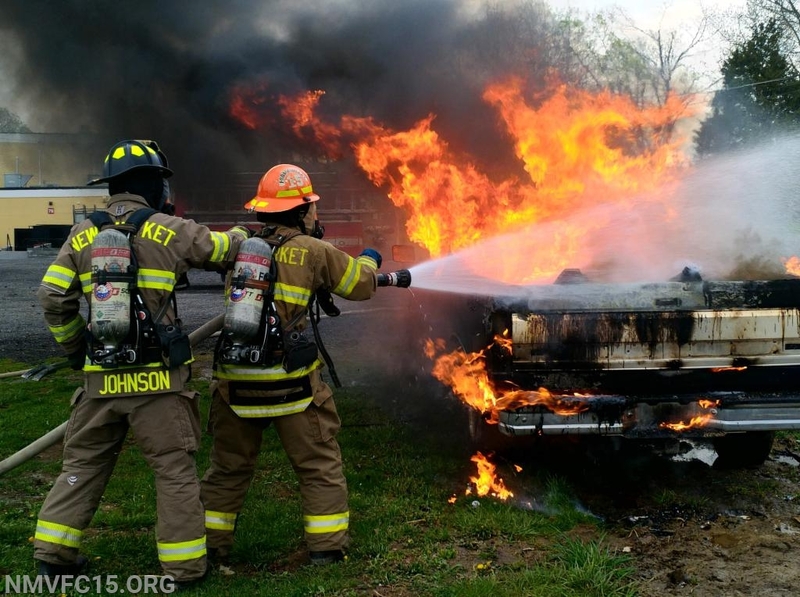 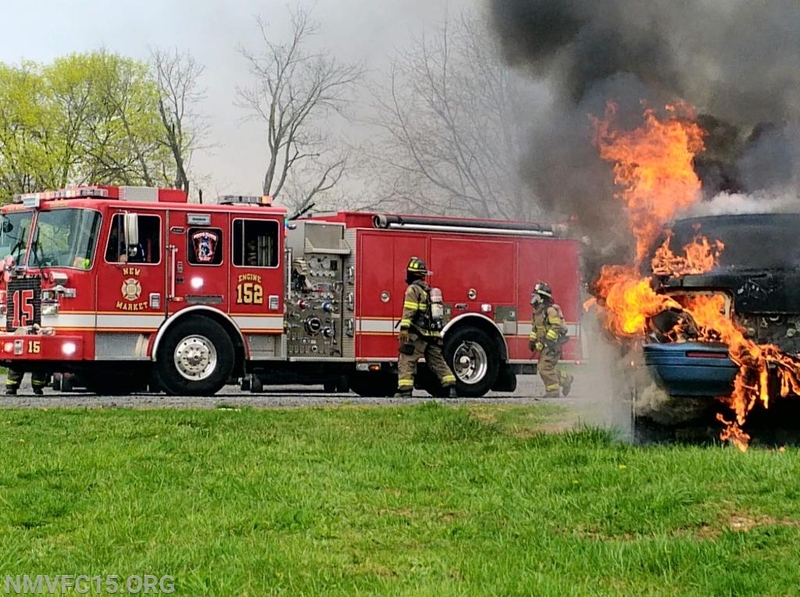 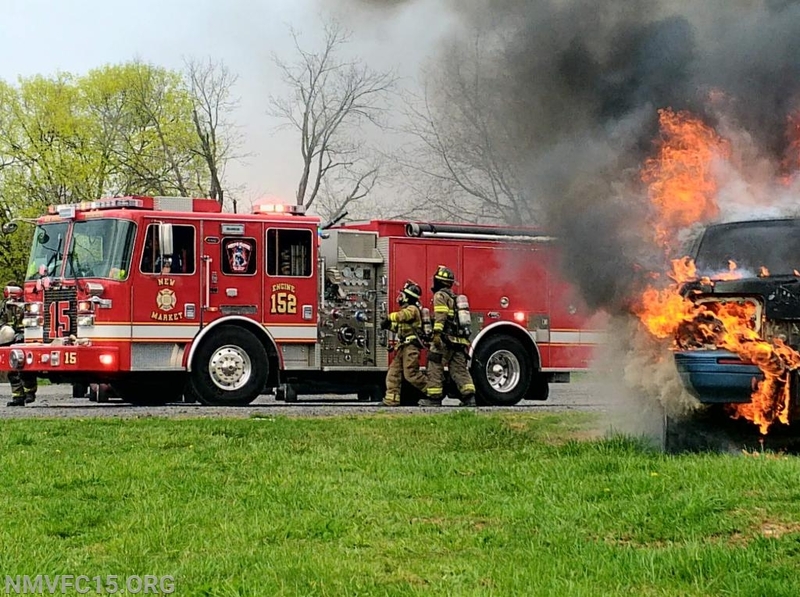 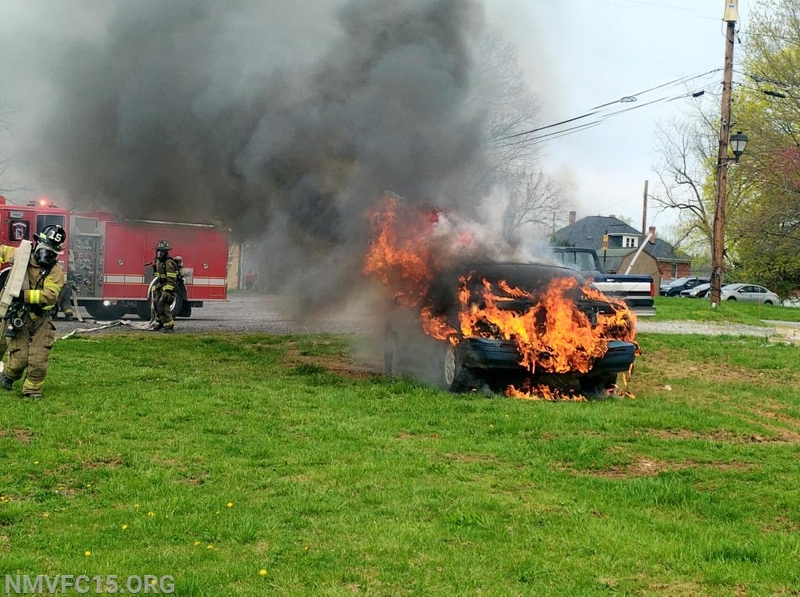 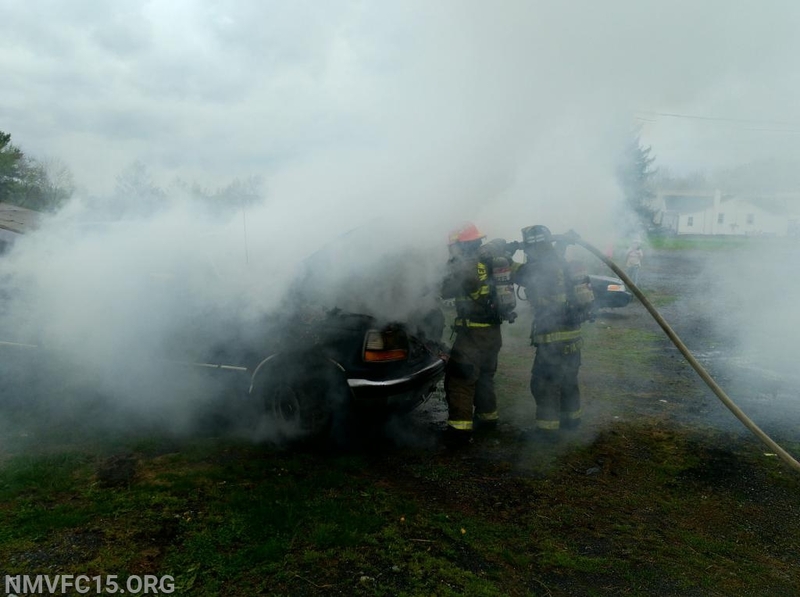 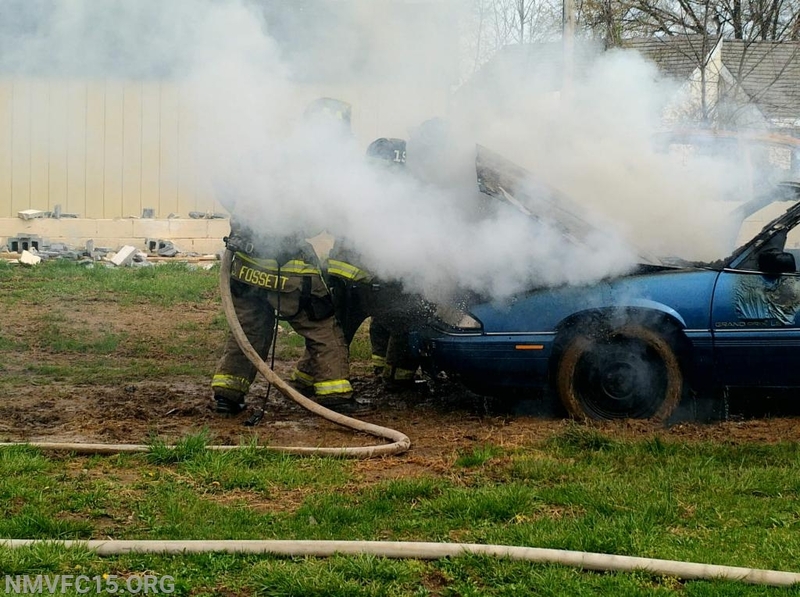 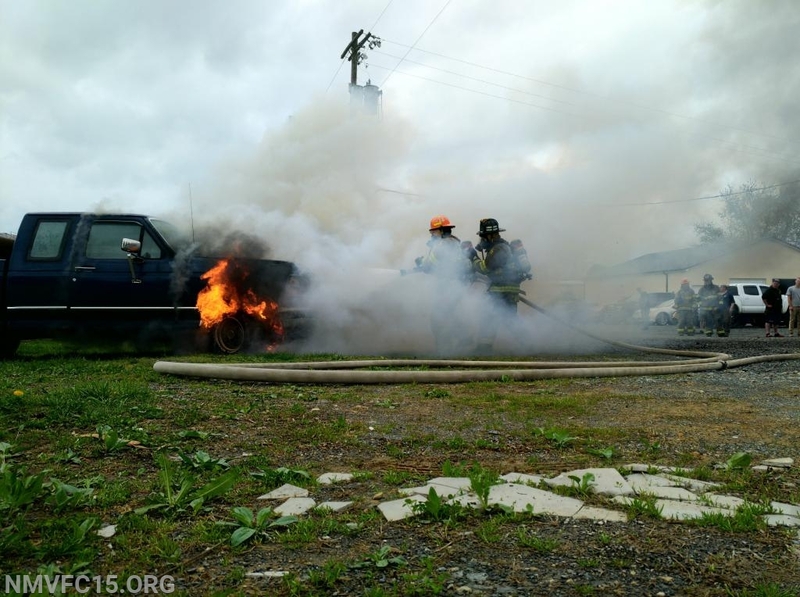 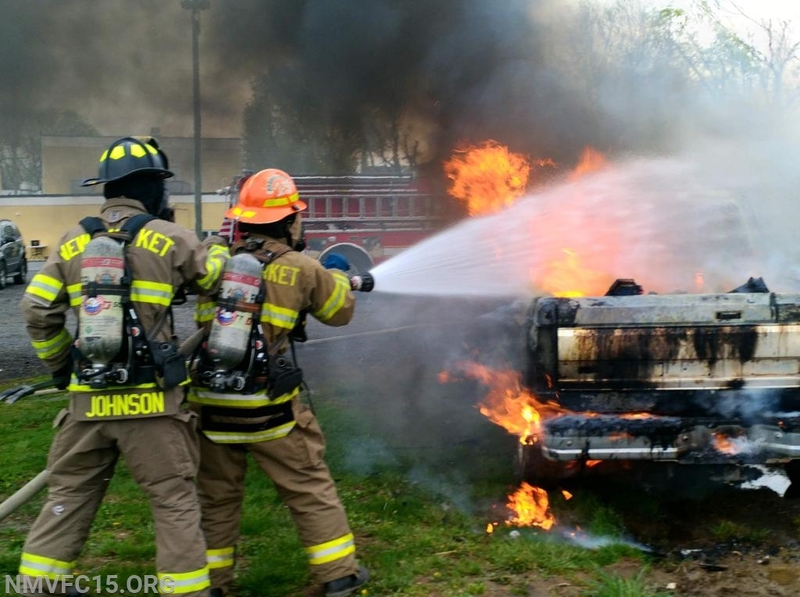 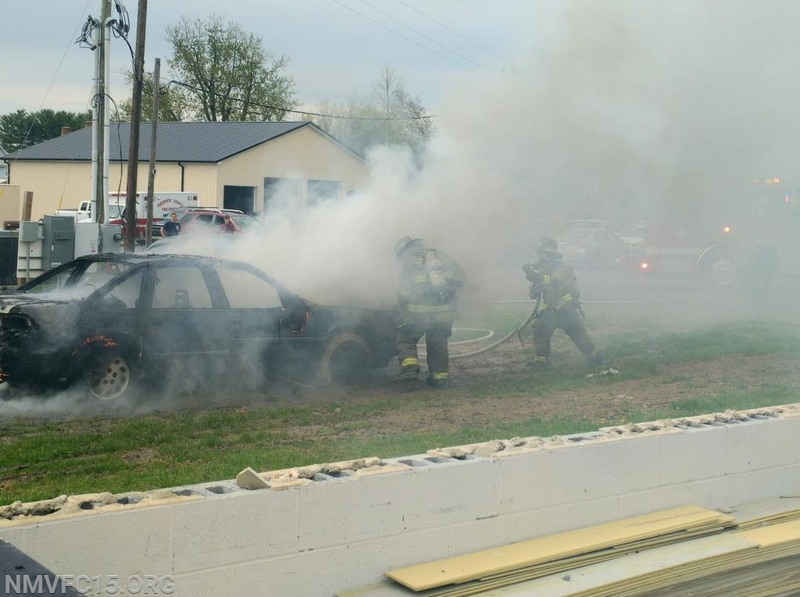 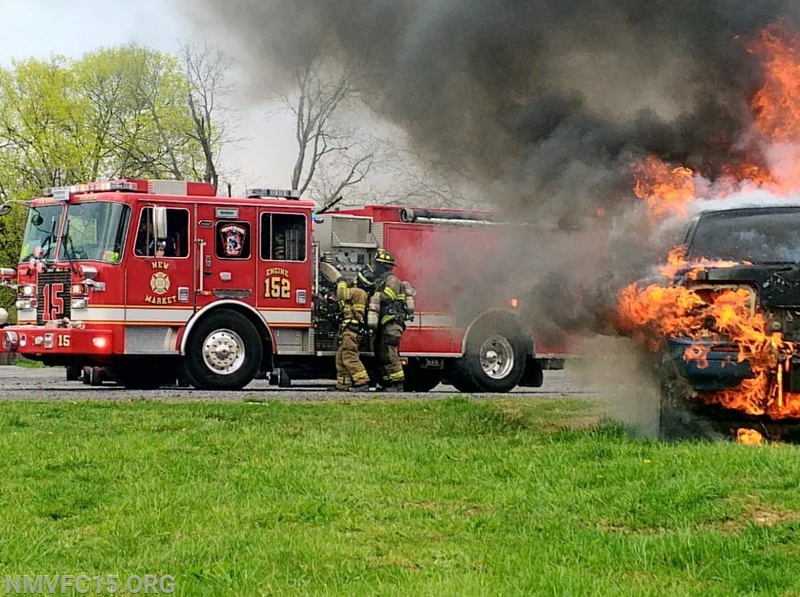 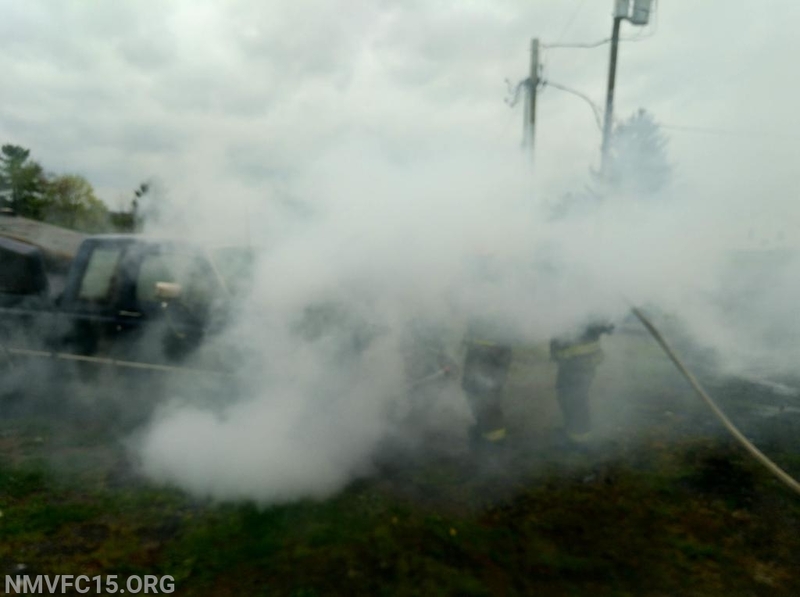 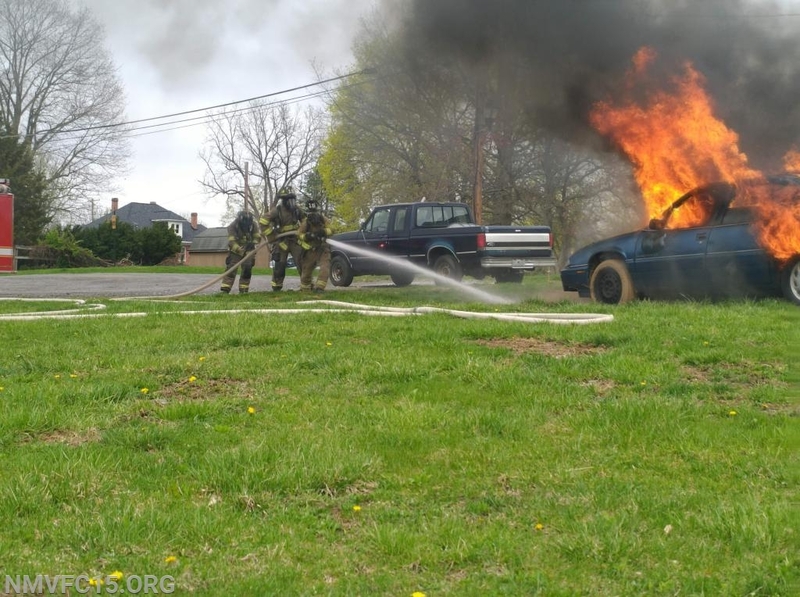 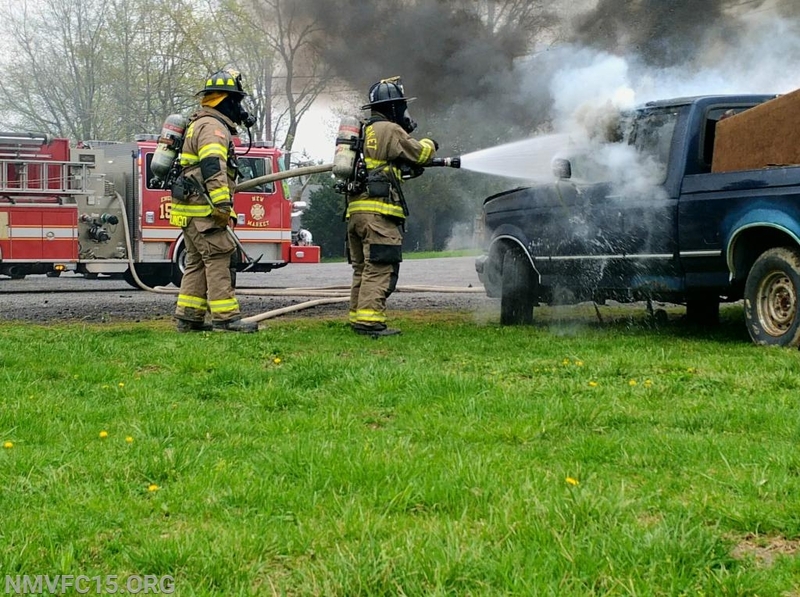 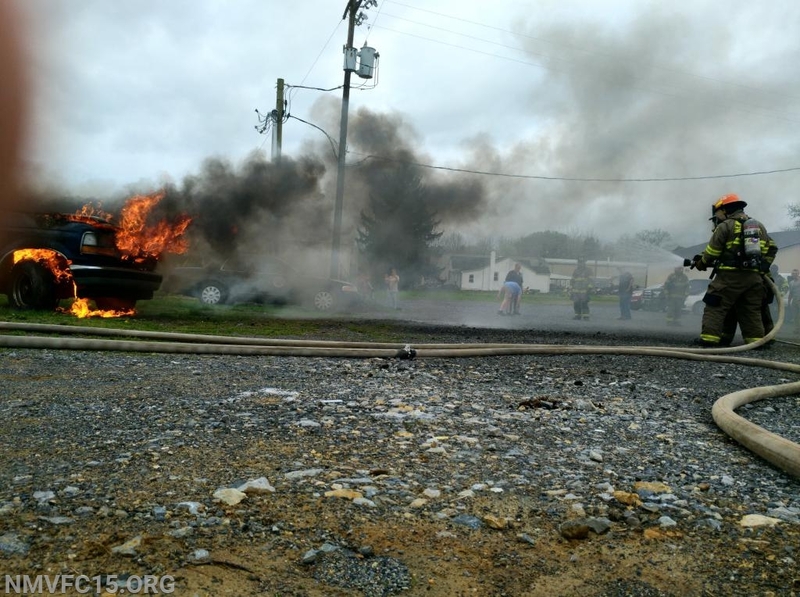 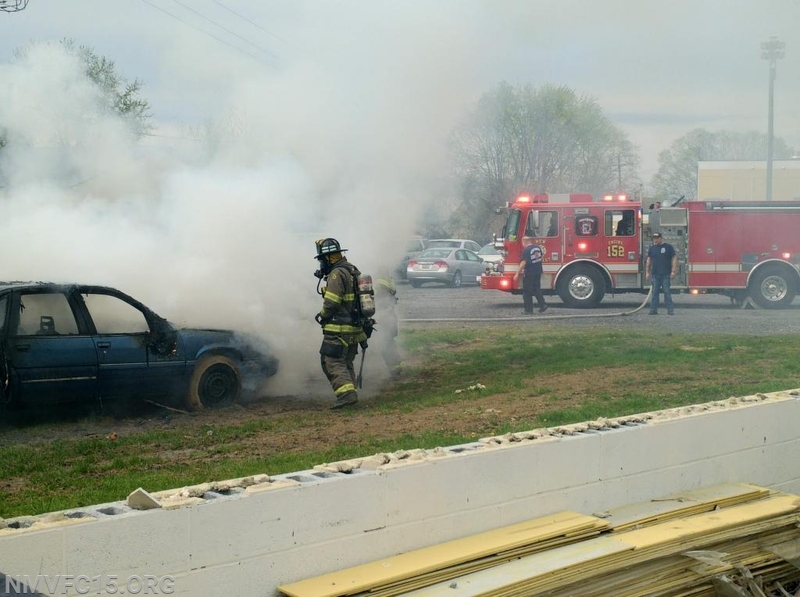 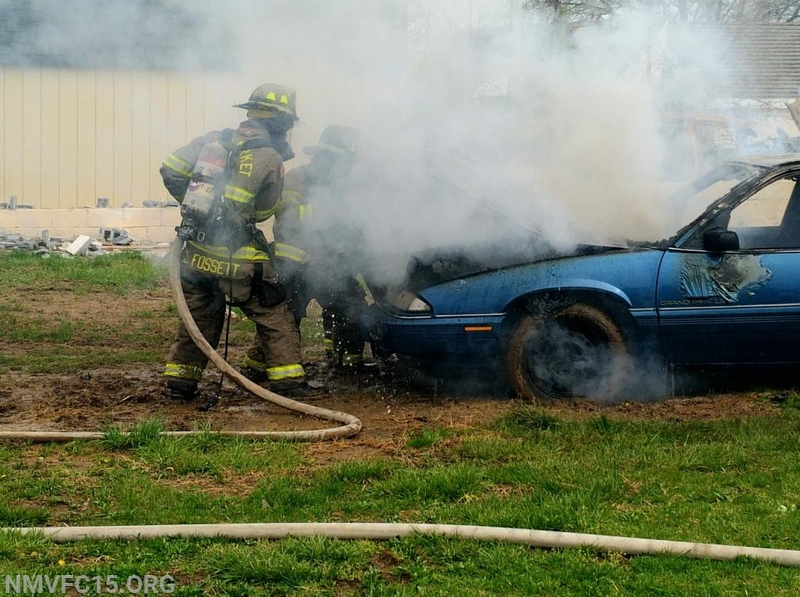 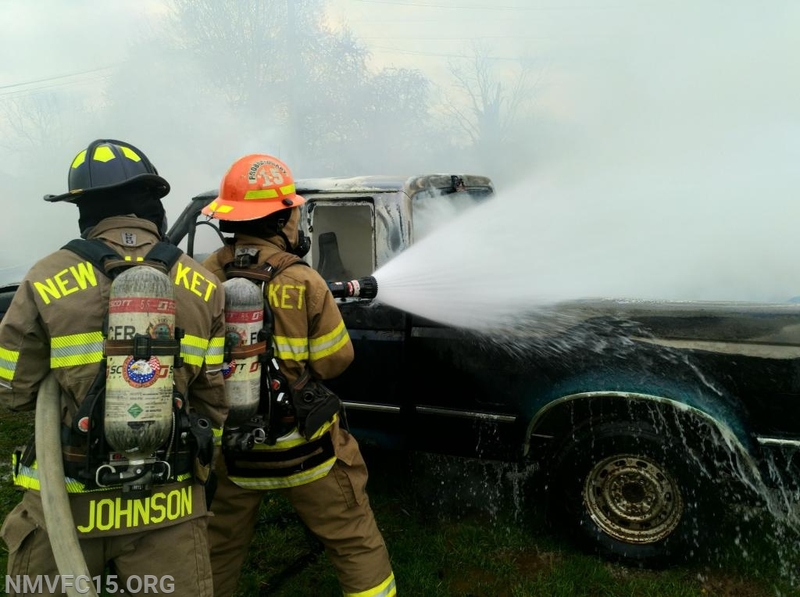 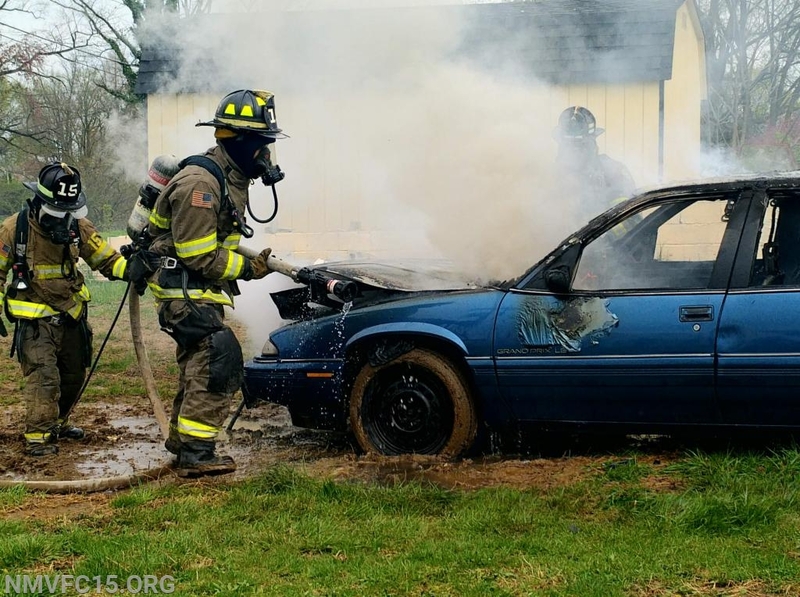 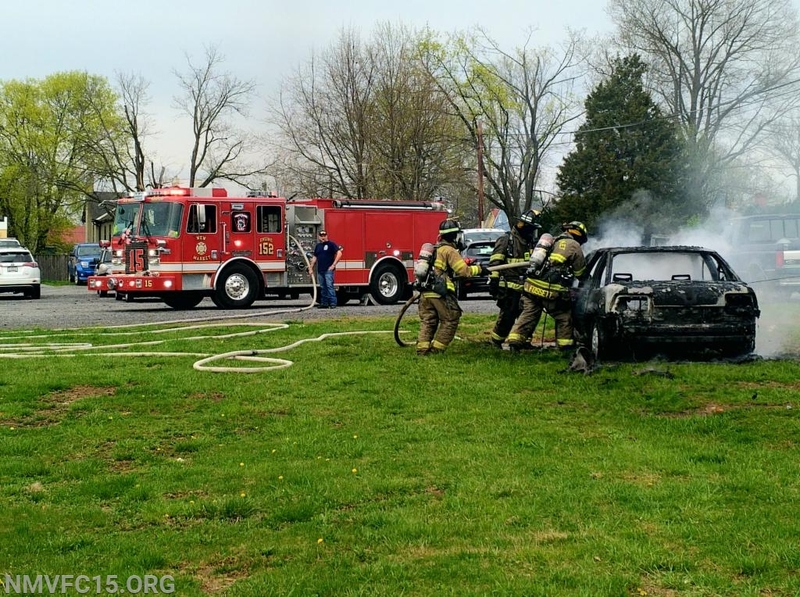 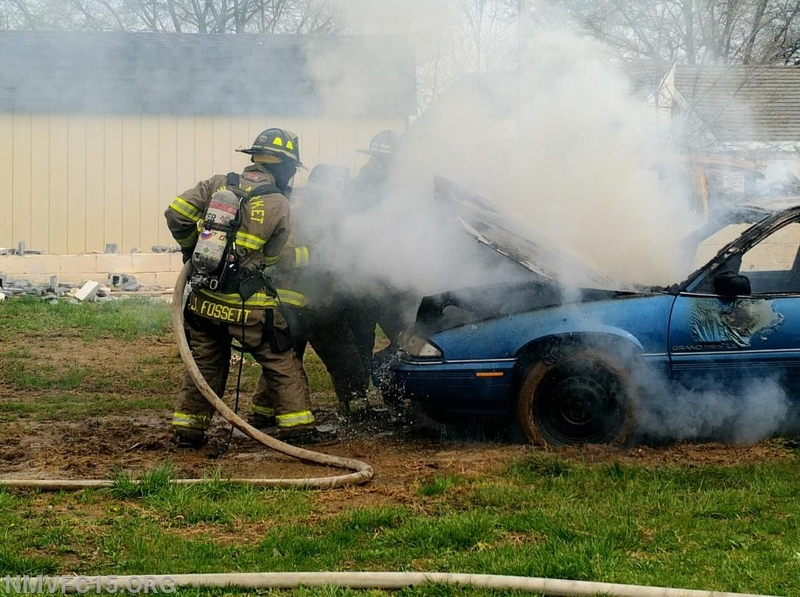 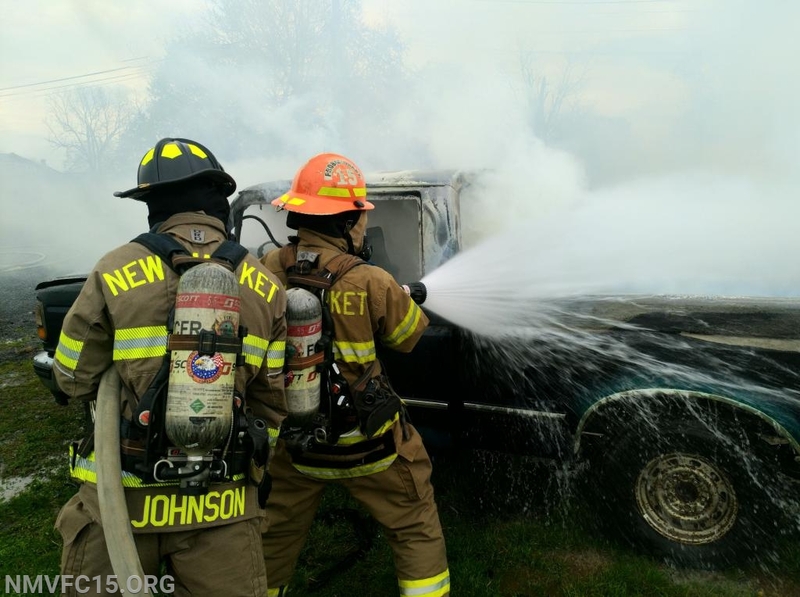 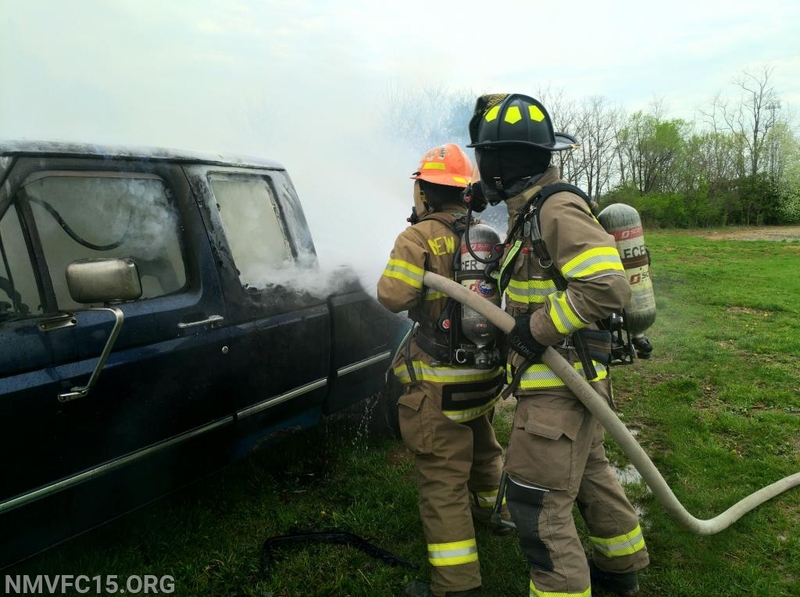 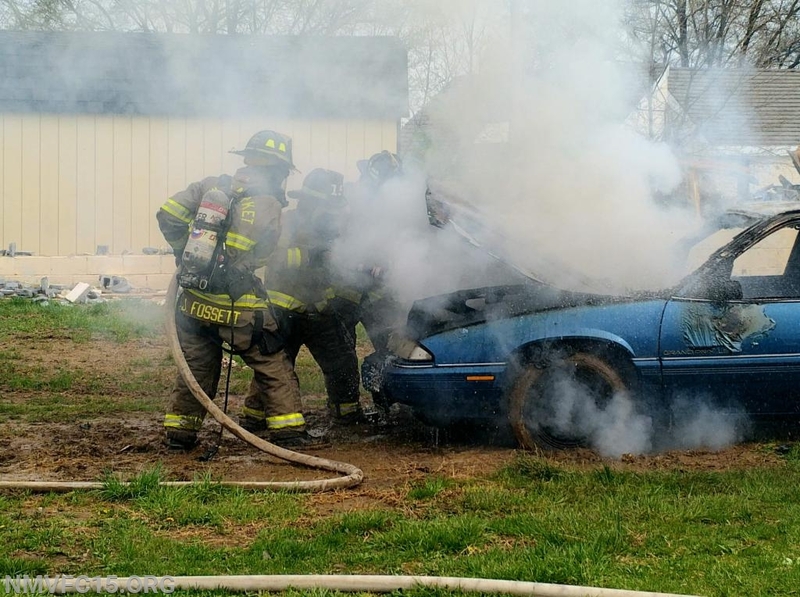 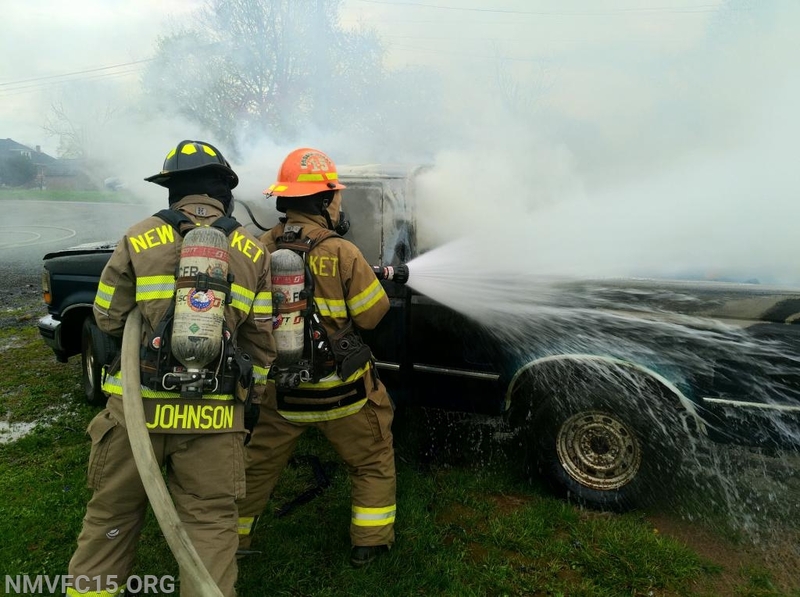 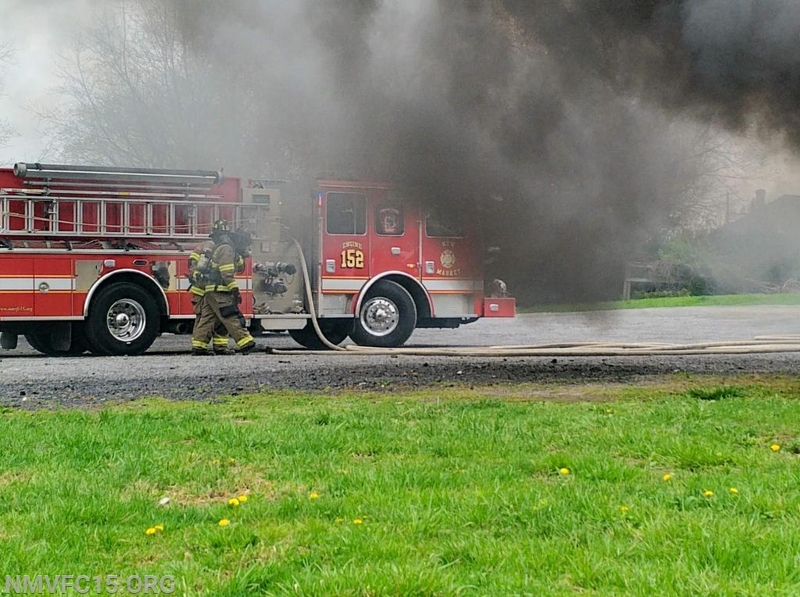 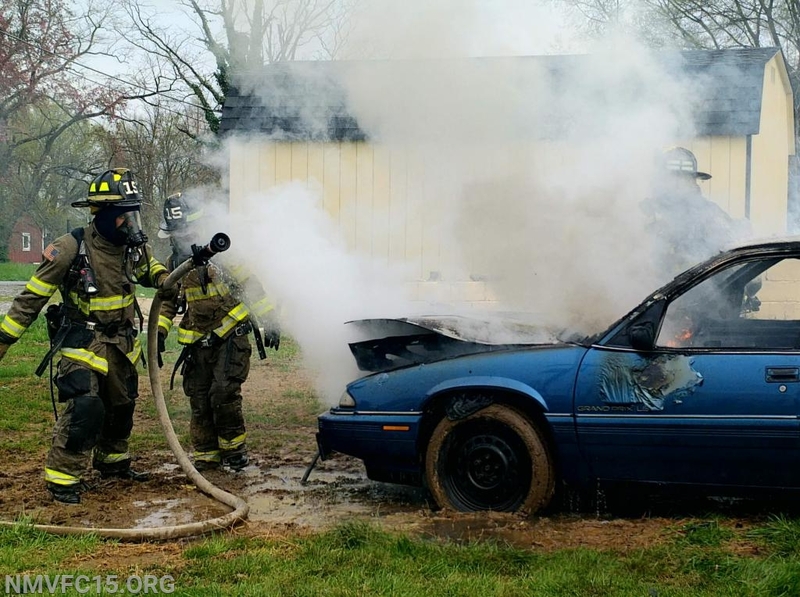 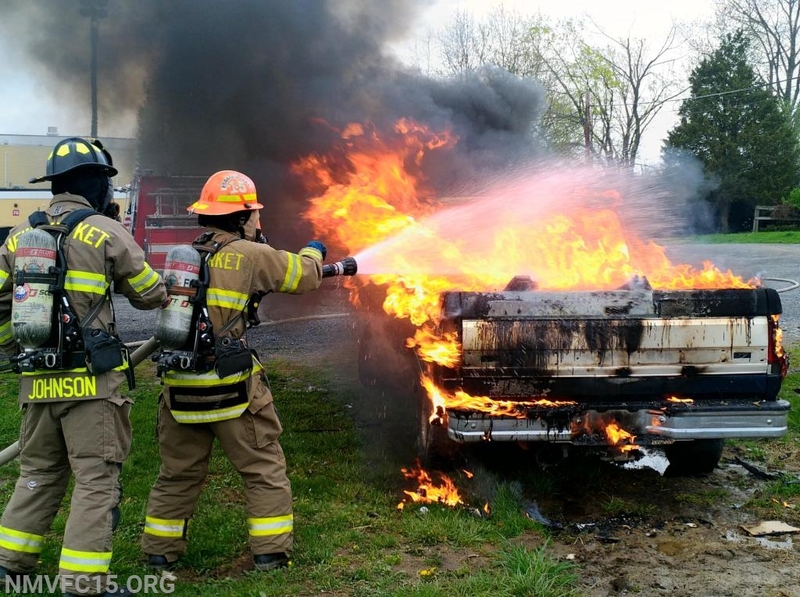 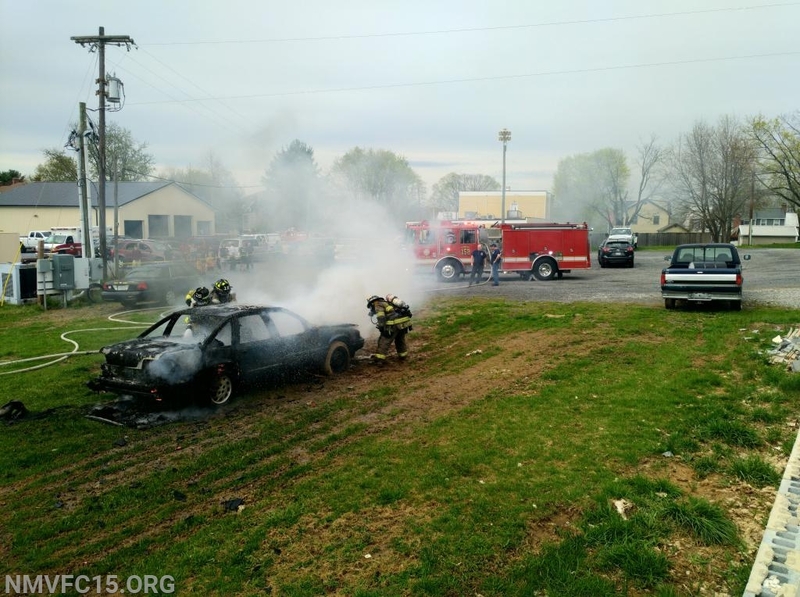 This is a typical scenario when responding to a vehicle fire. 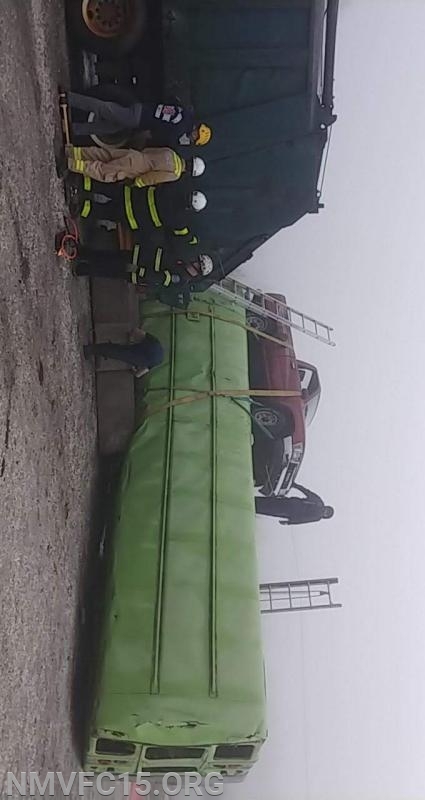 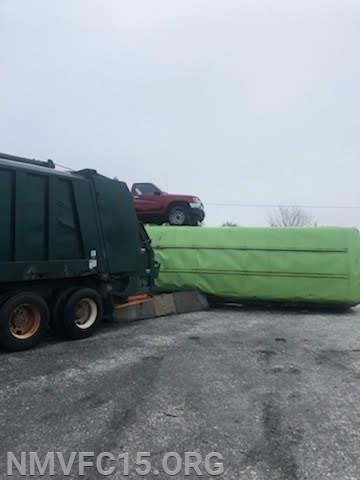 They quickly pulled the 200 foot cross lay from the drivers side and immediately began suppression with a narrow fog stream. 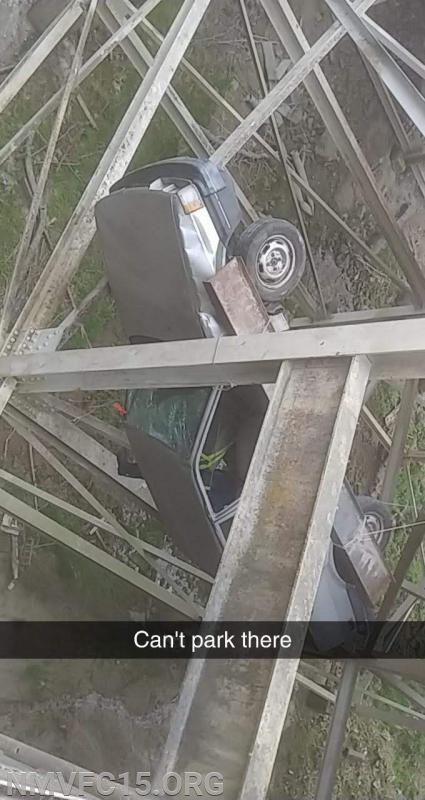 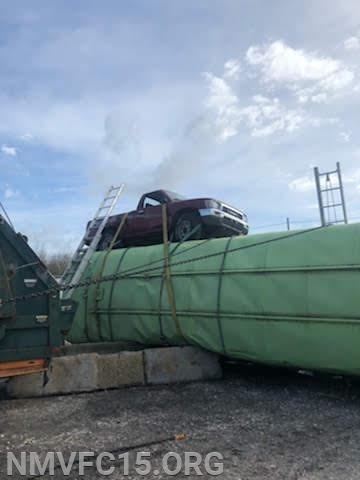 On Sunday it was a very similar situation but the Engine was parked and the cross lay was pulled from the officers side. 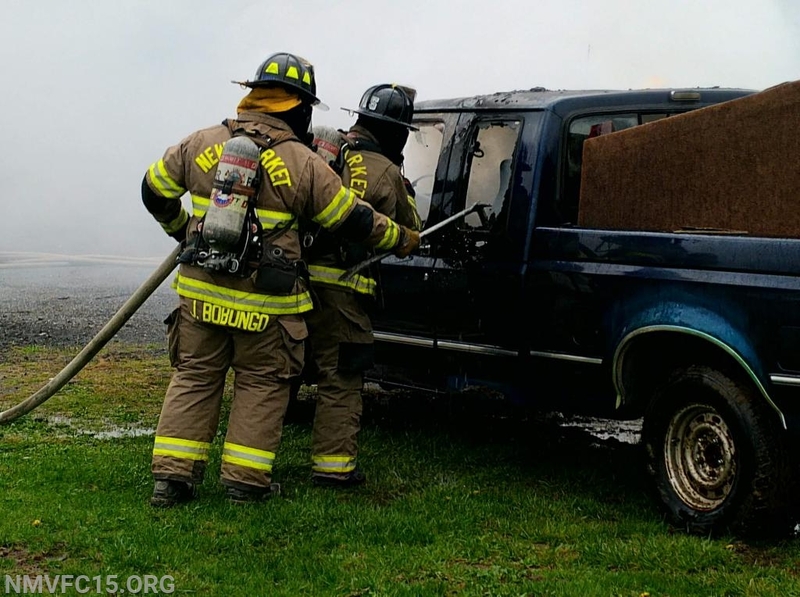 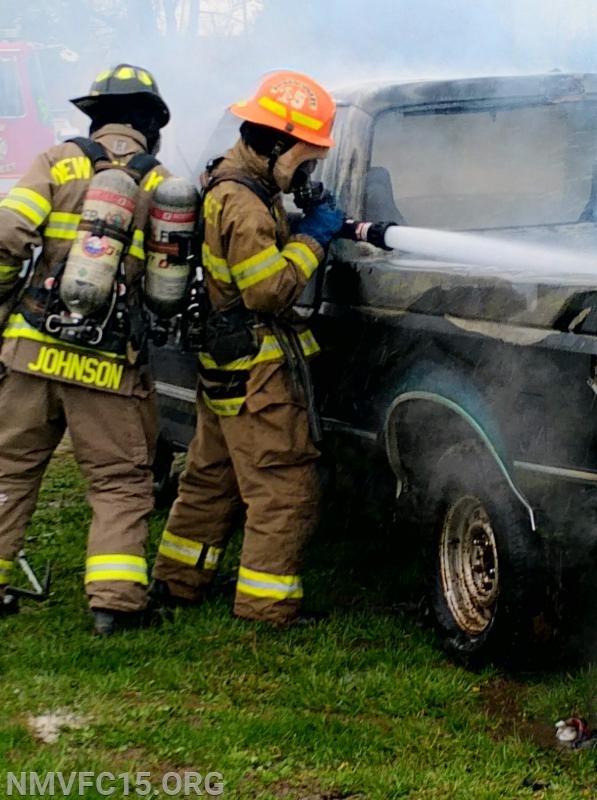 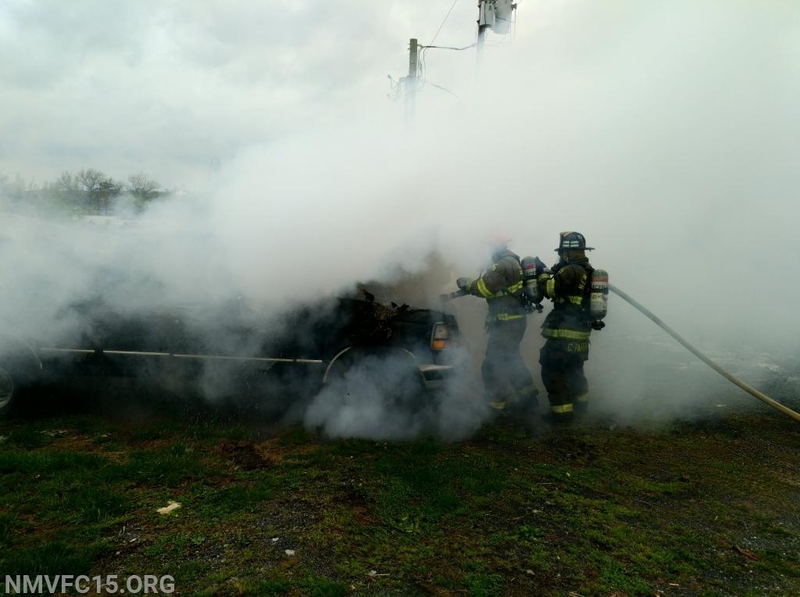 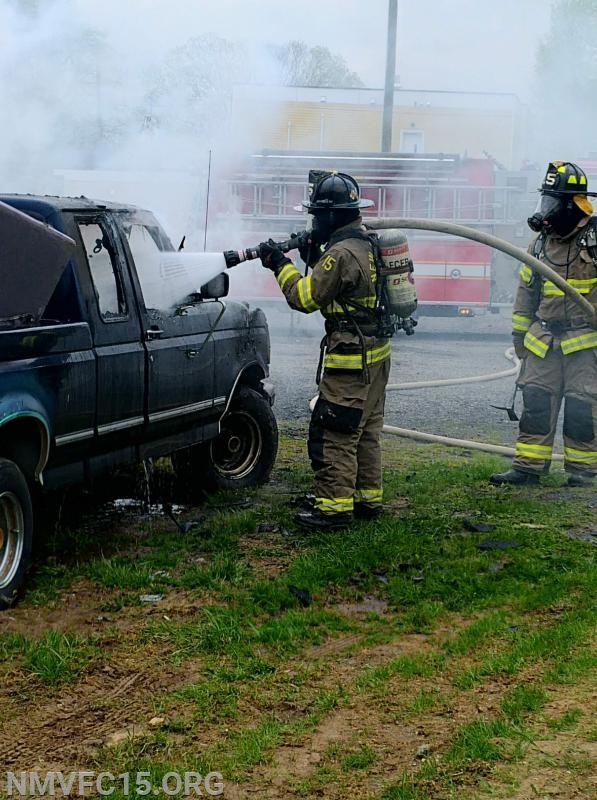 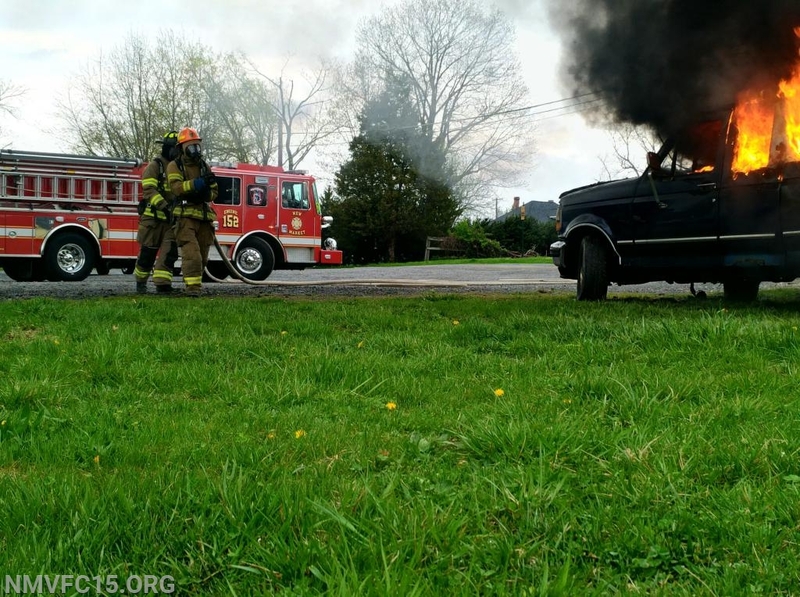 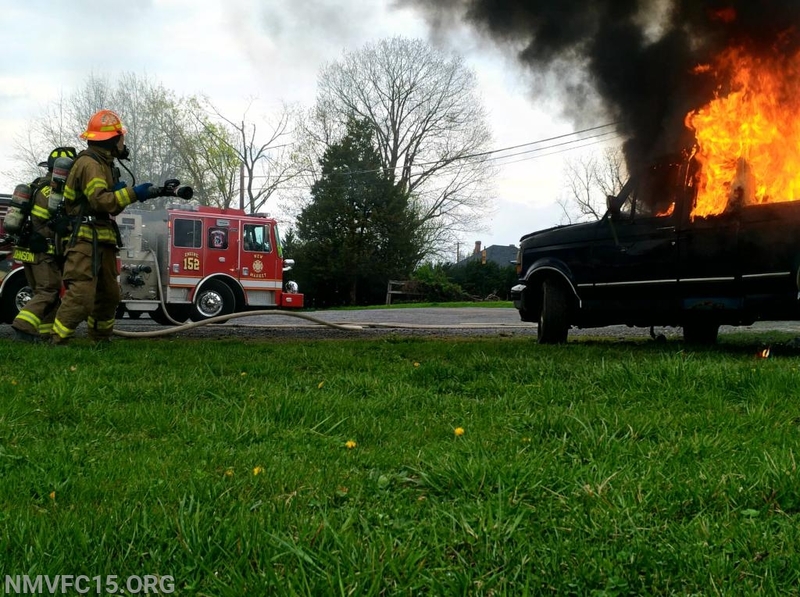 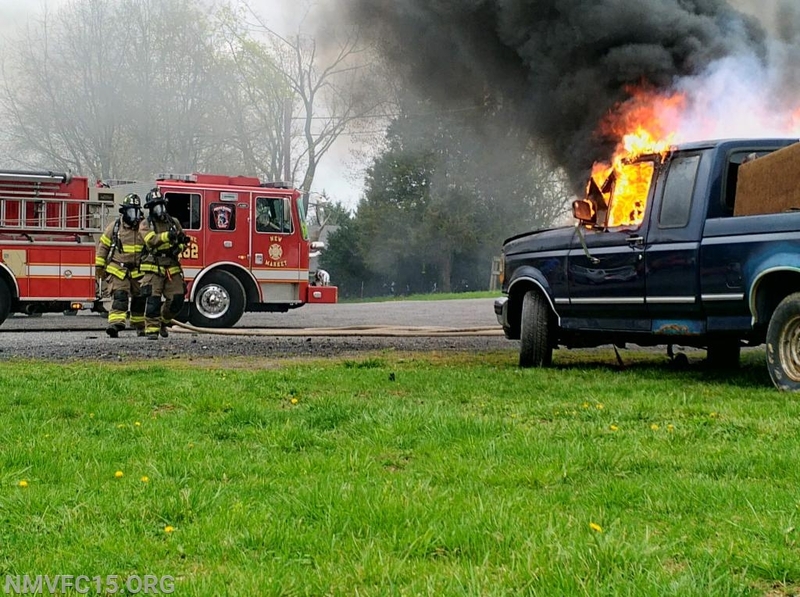 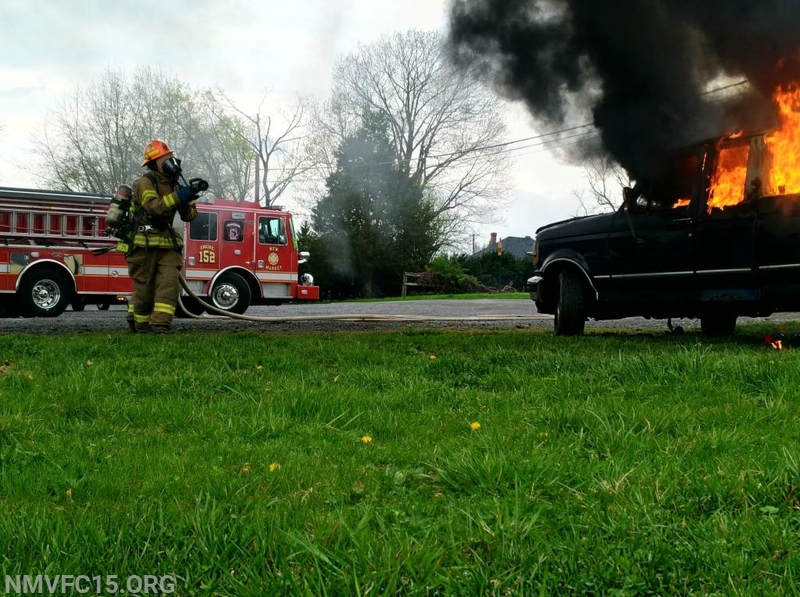 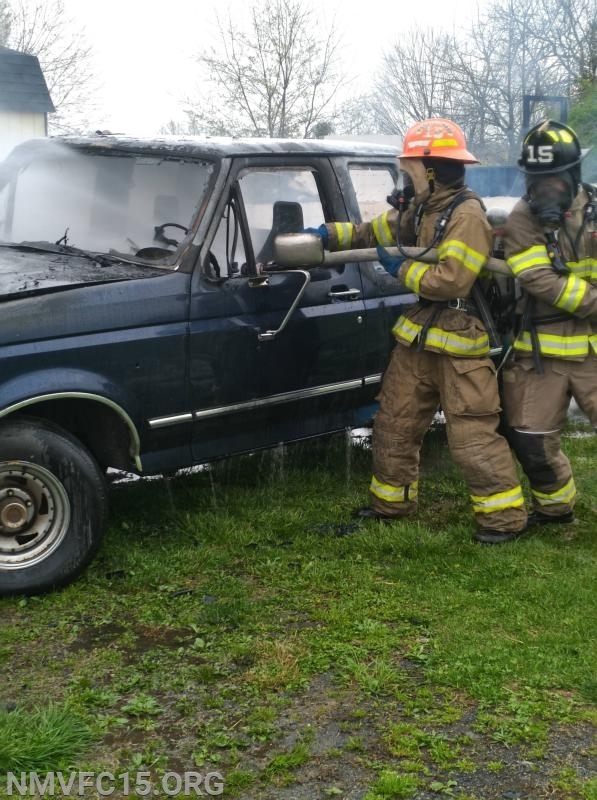 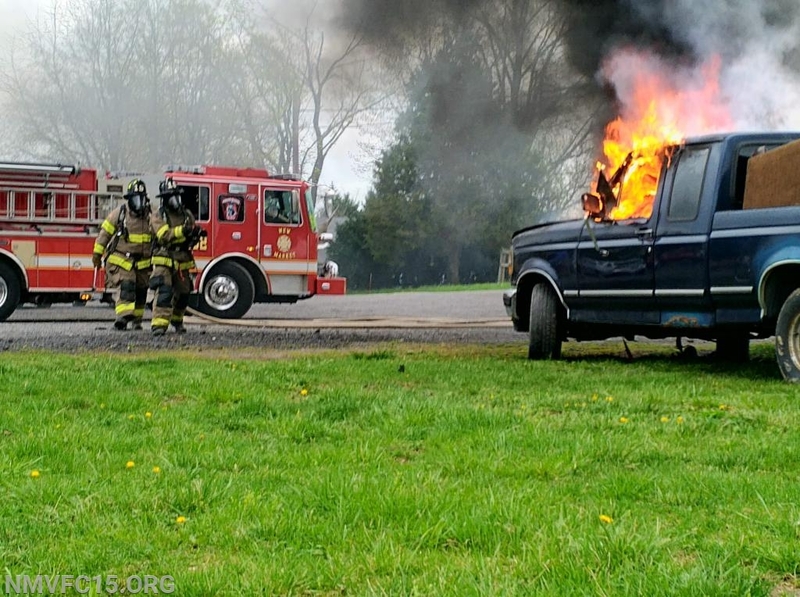 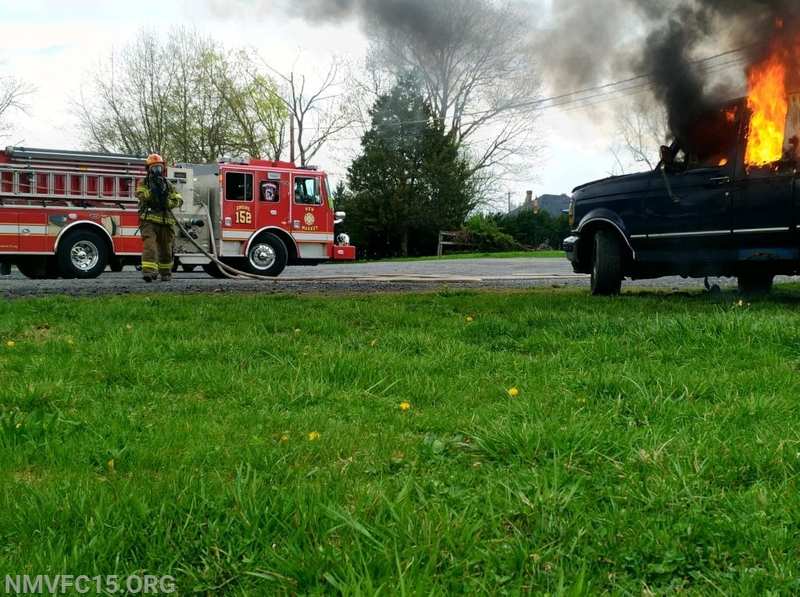 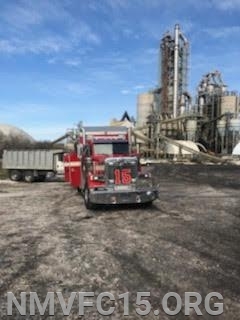 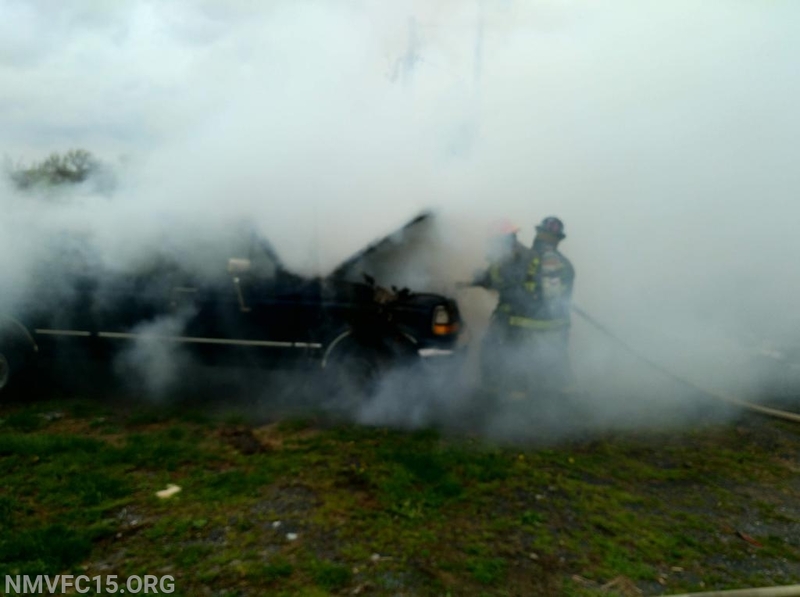 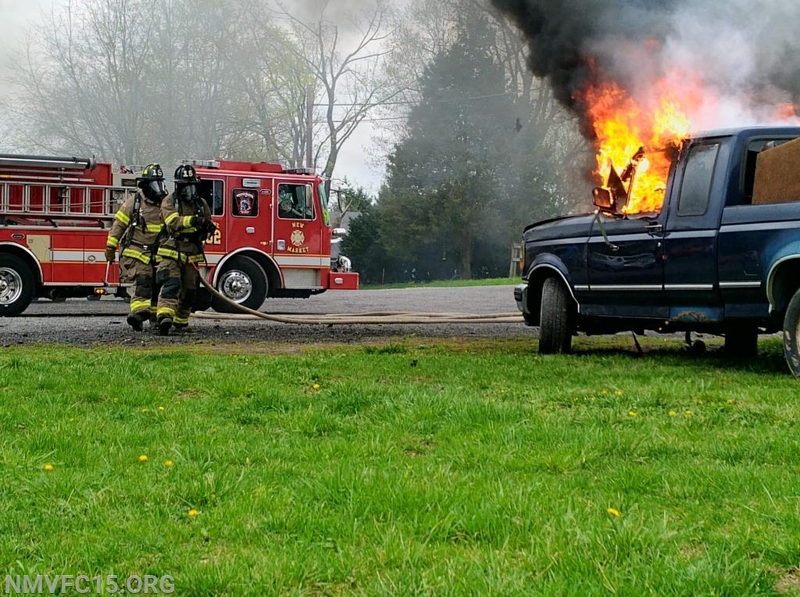 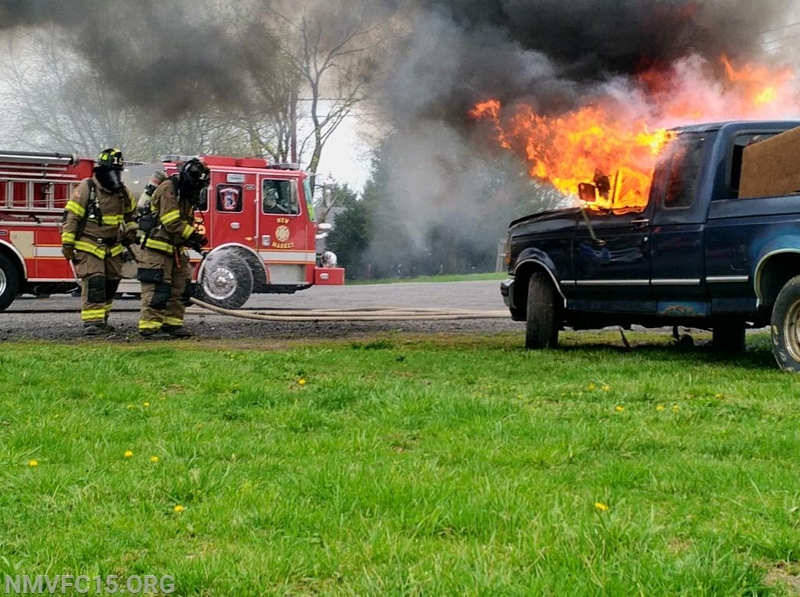 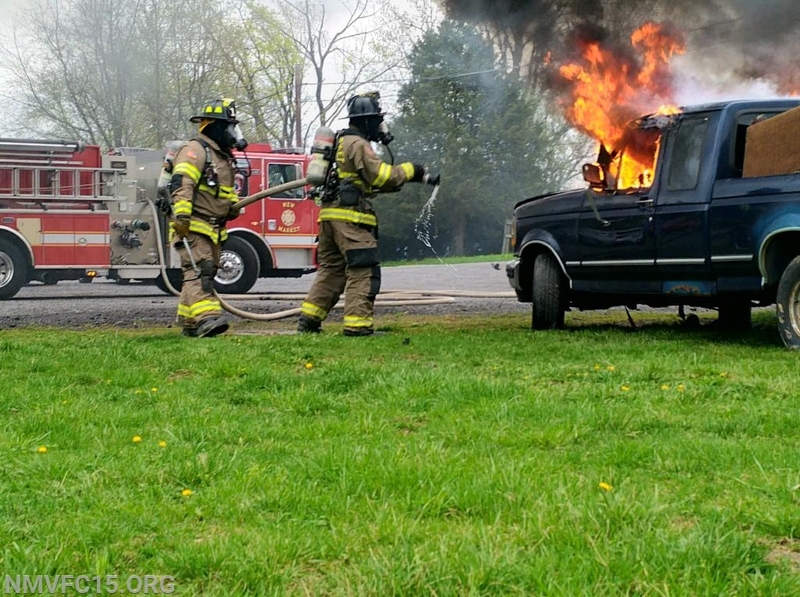 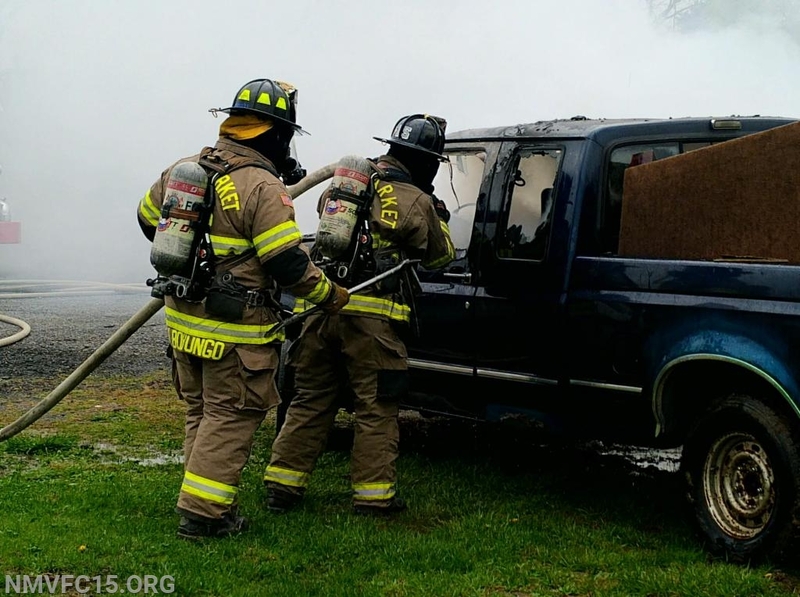 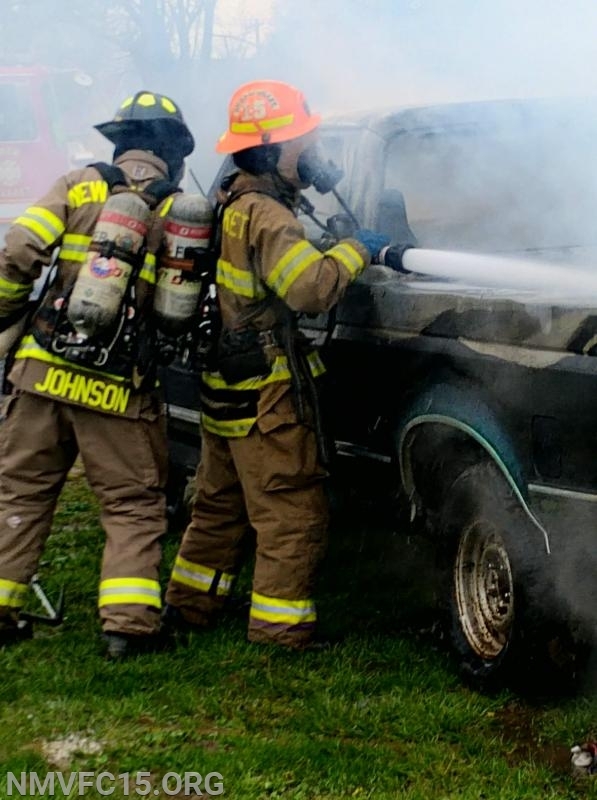 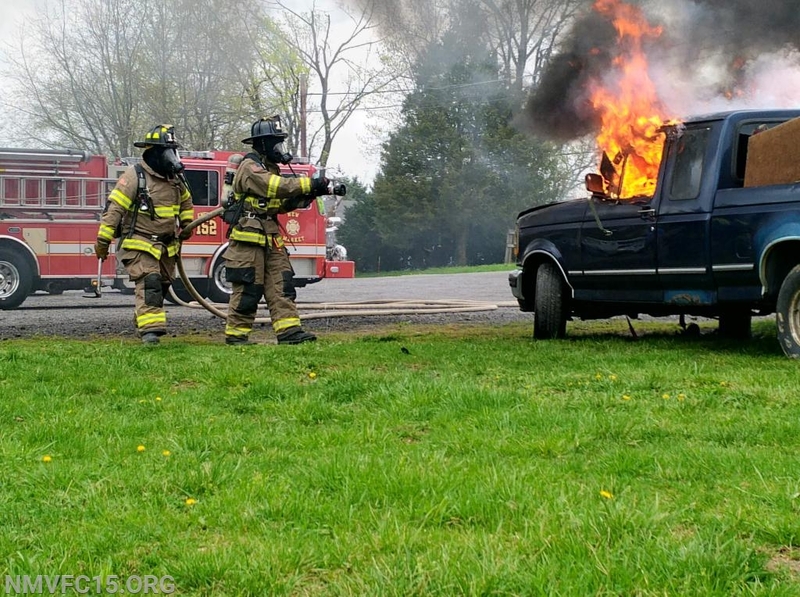 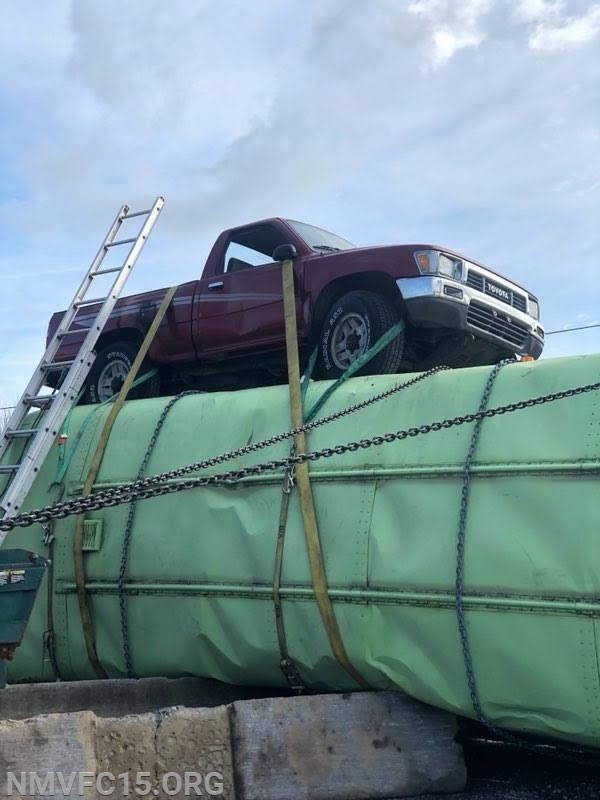 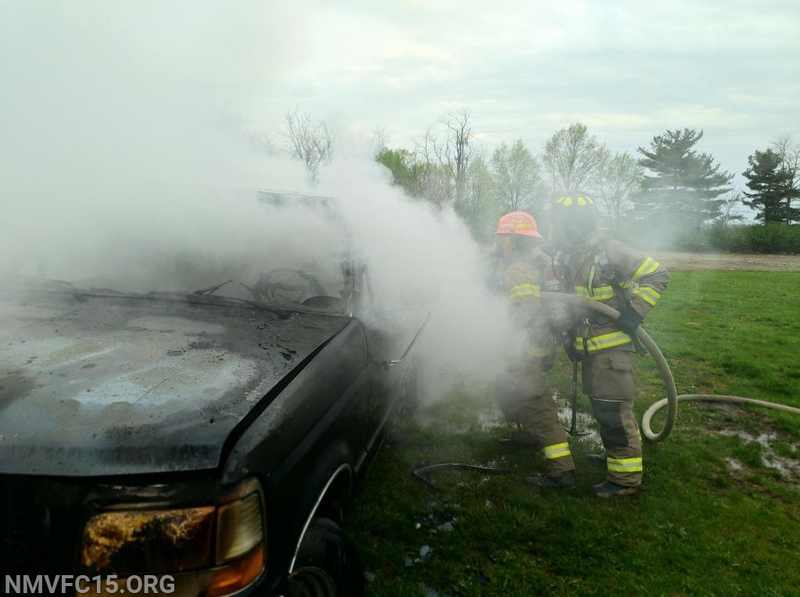 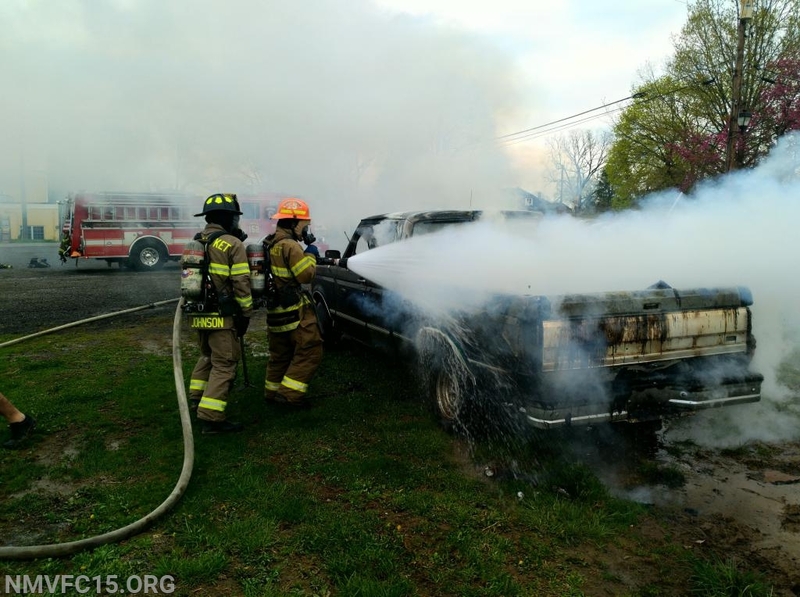 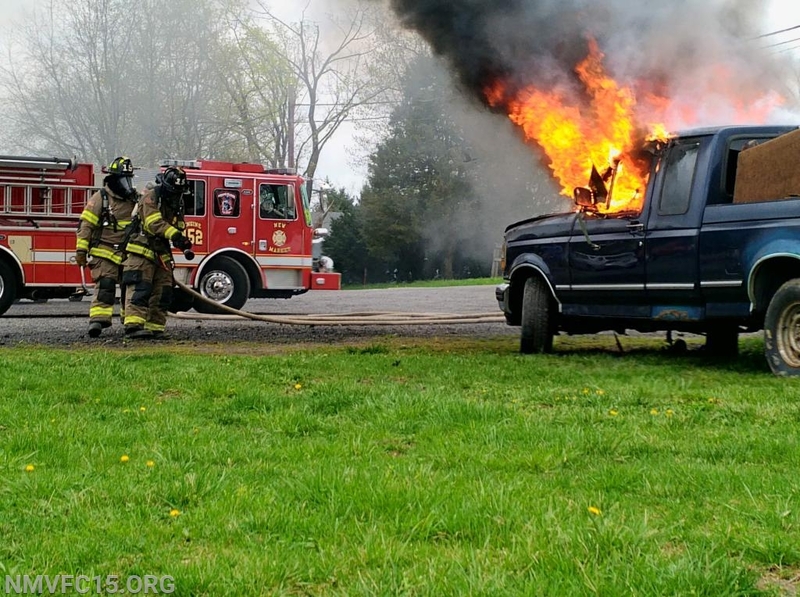 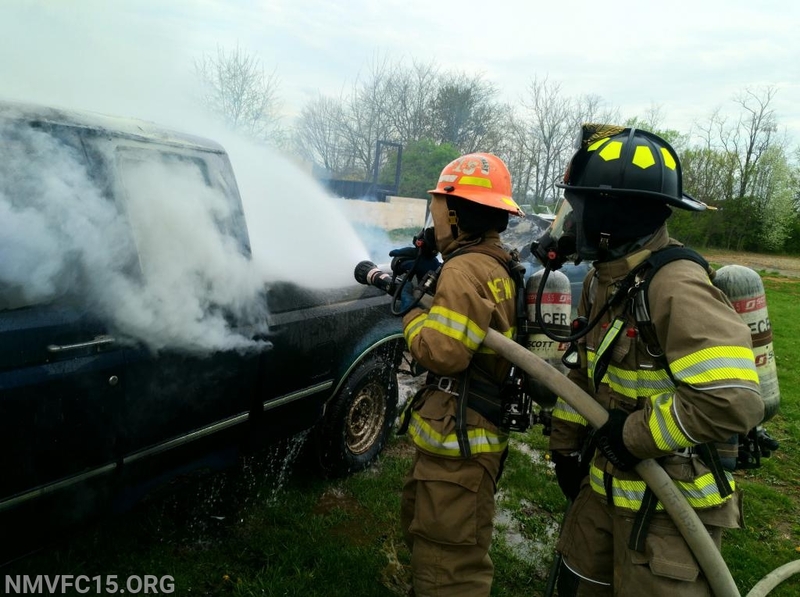 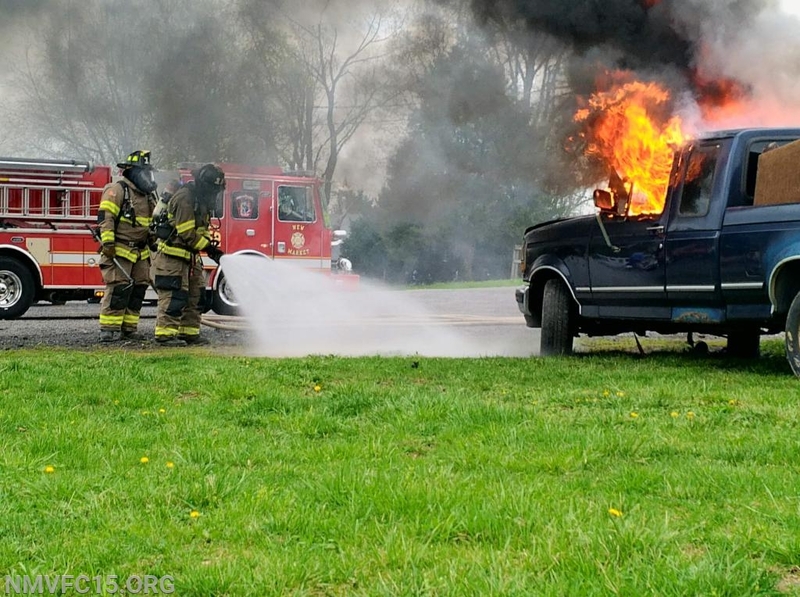 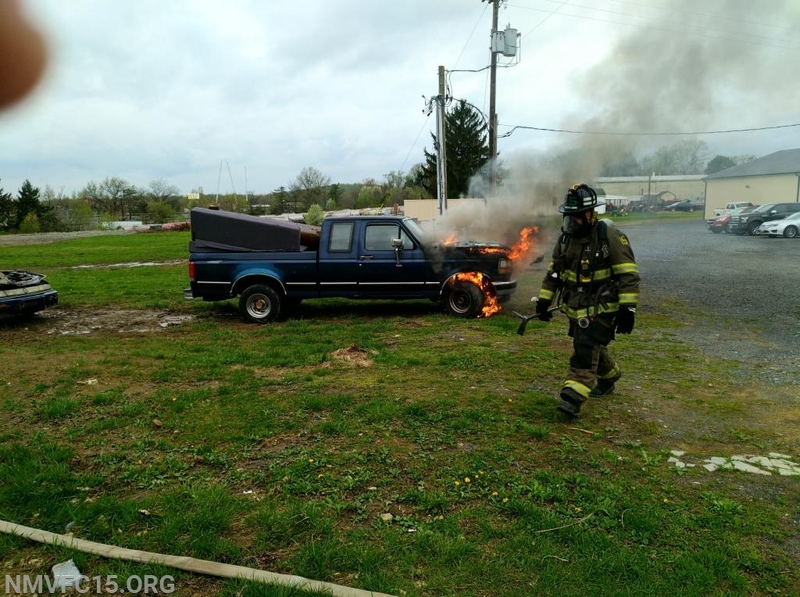 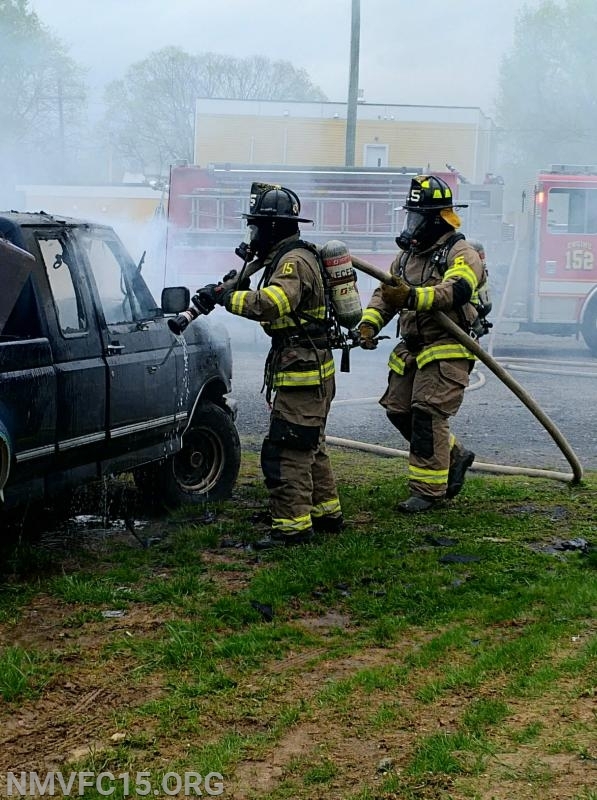 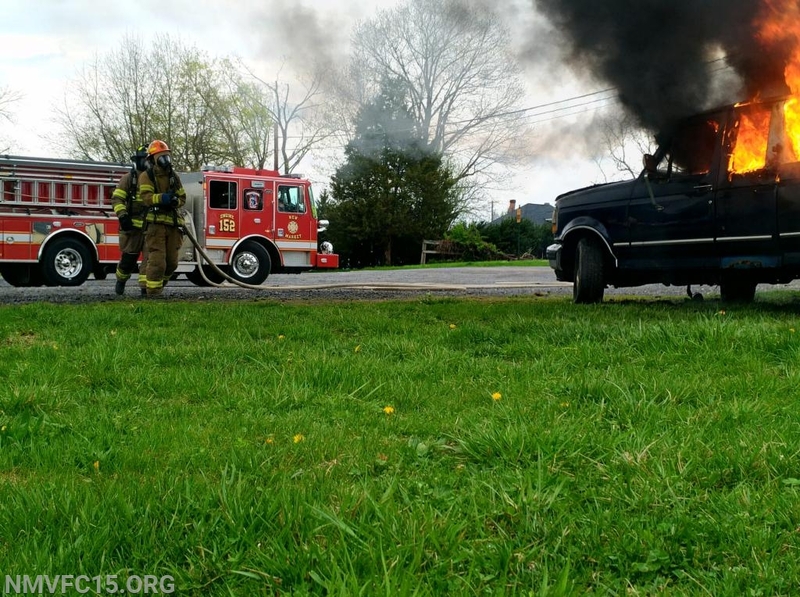 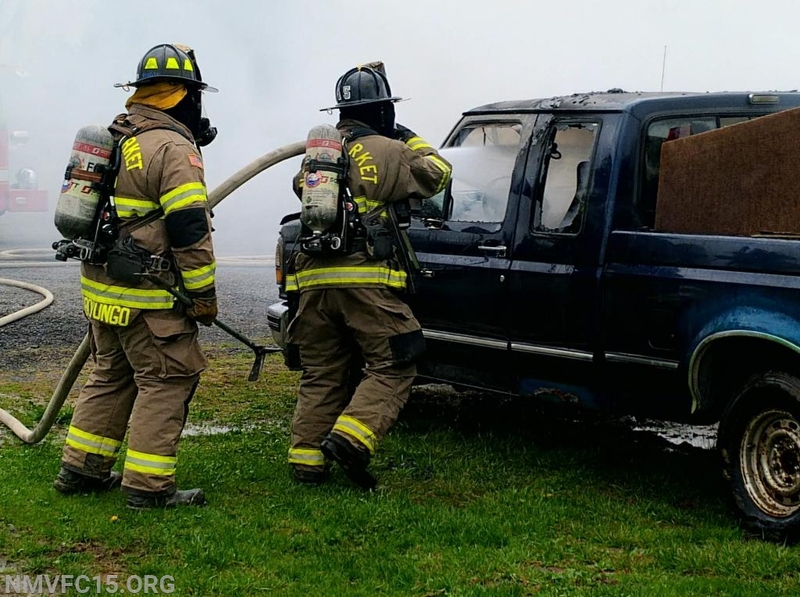 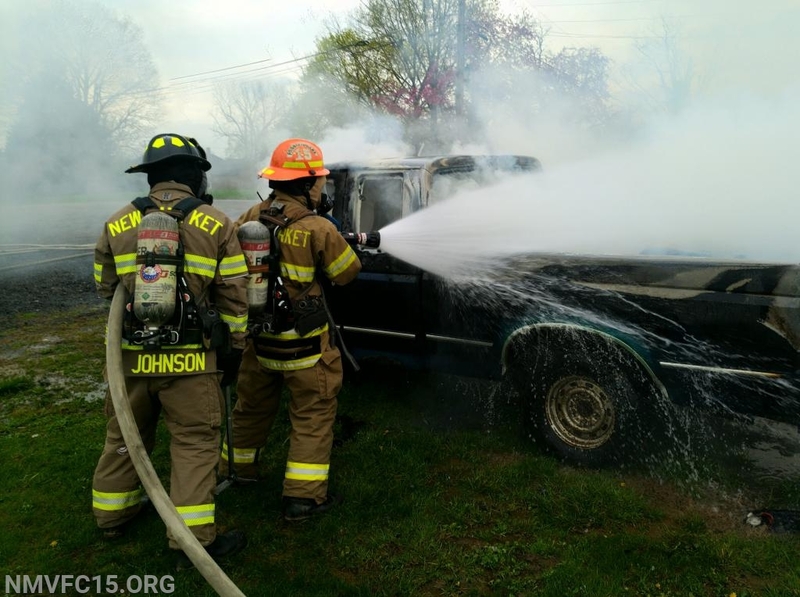 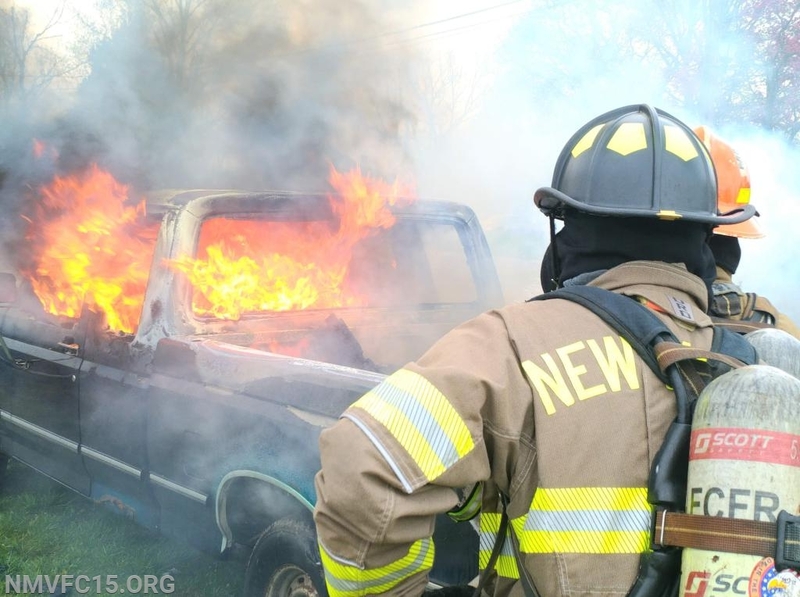 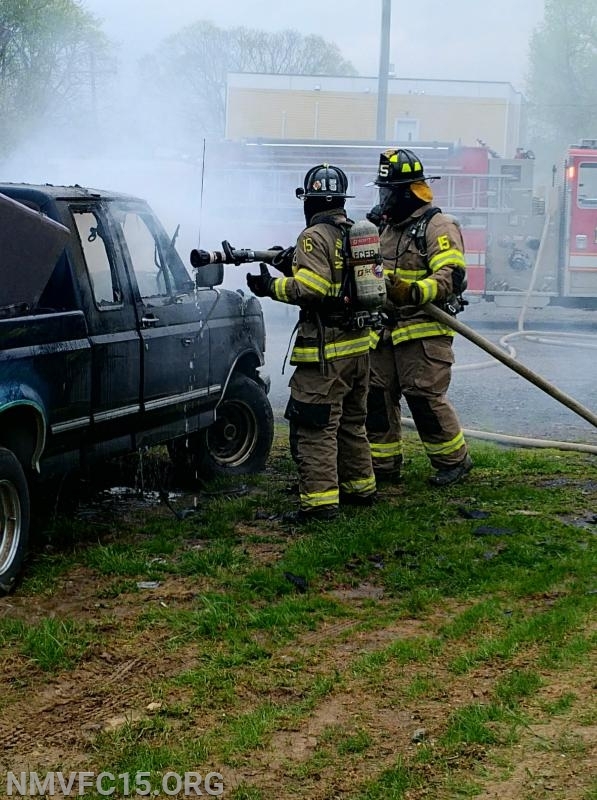 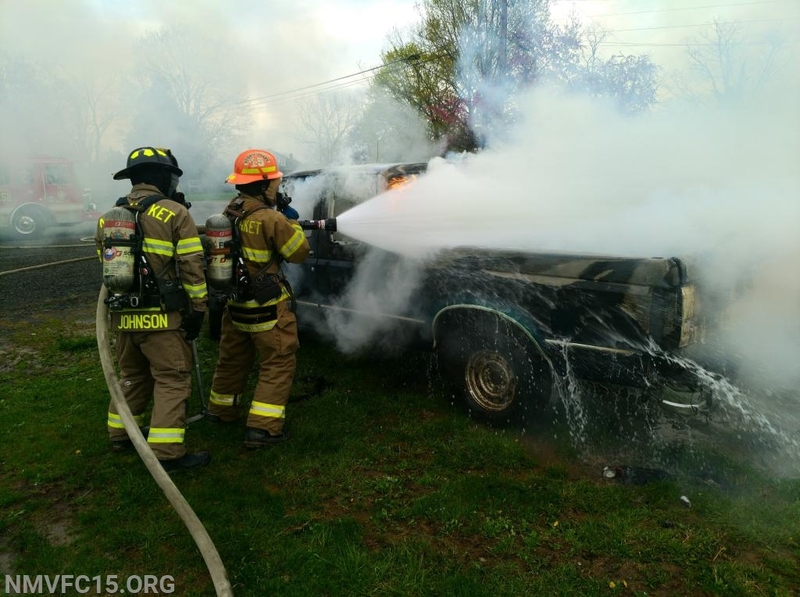 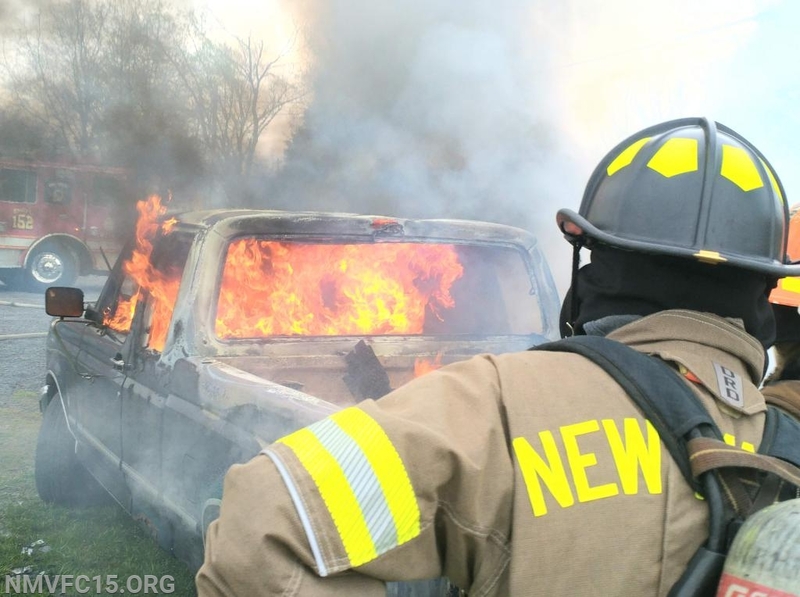 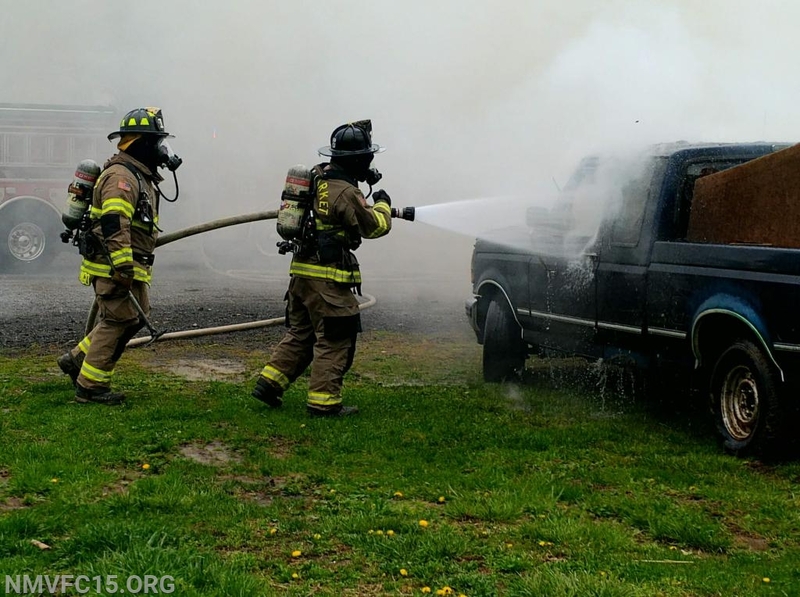 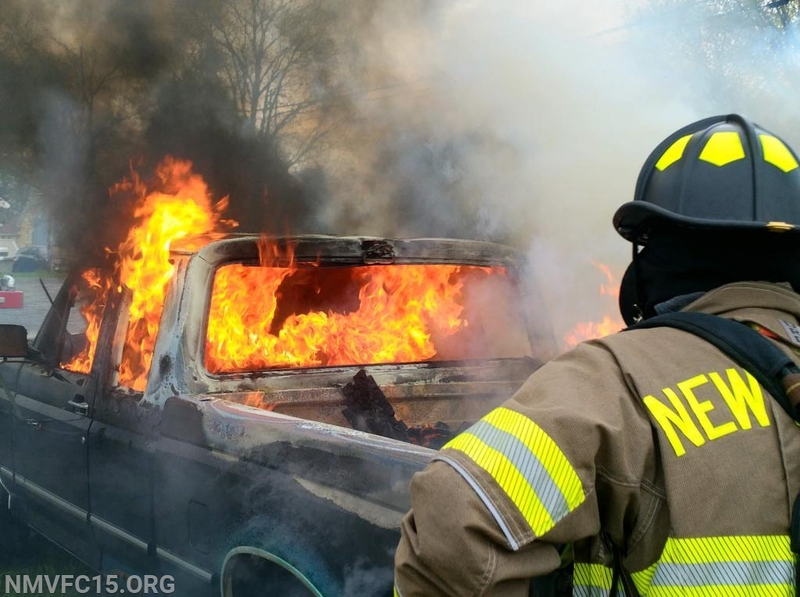 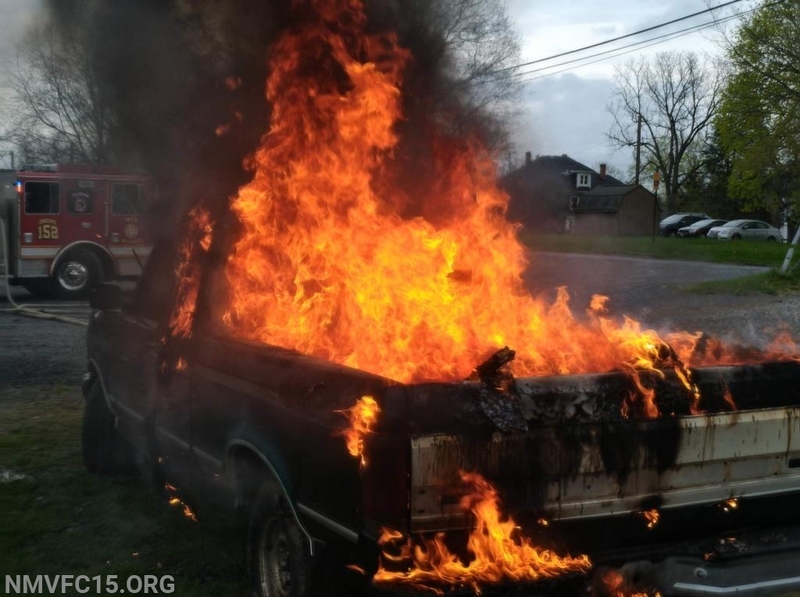 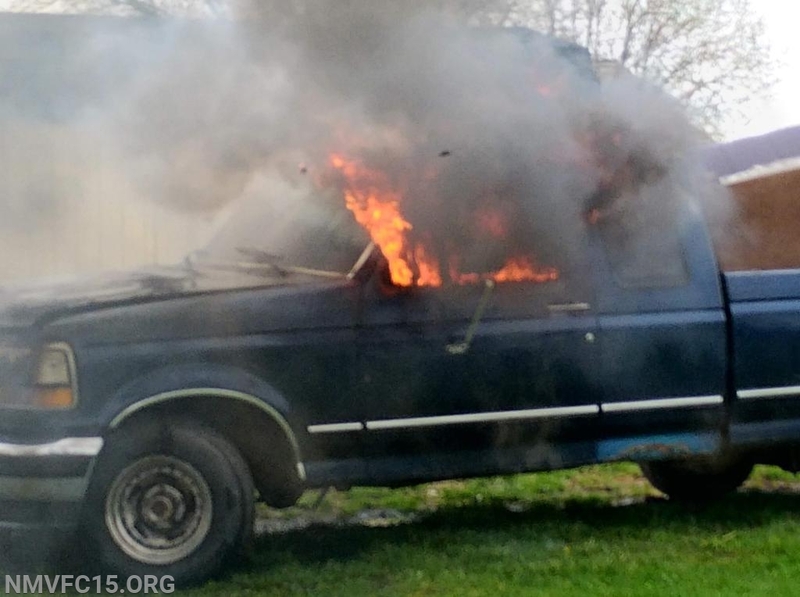 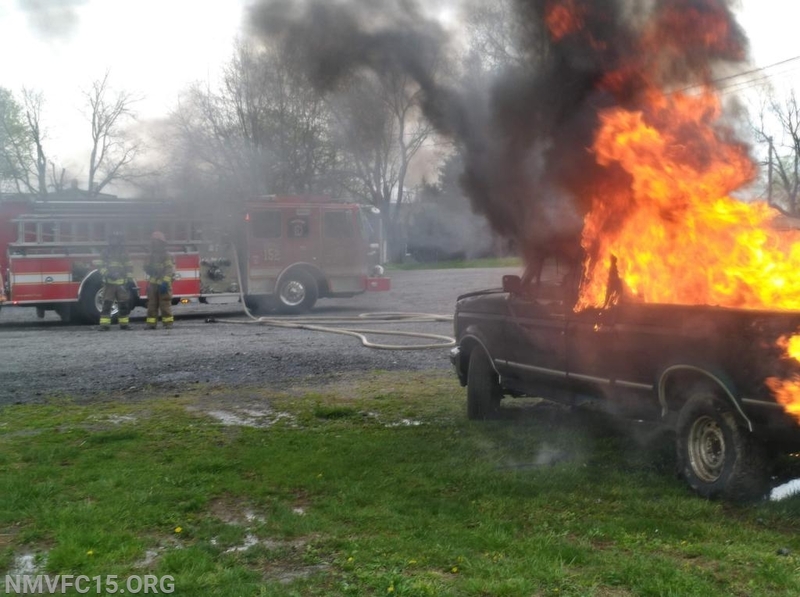 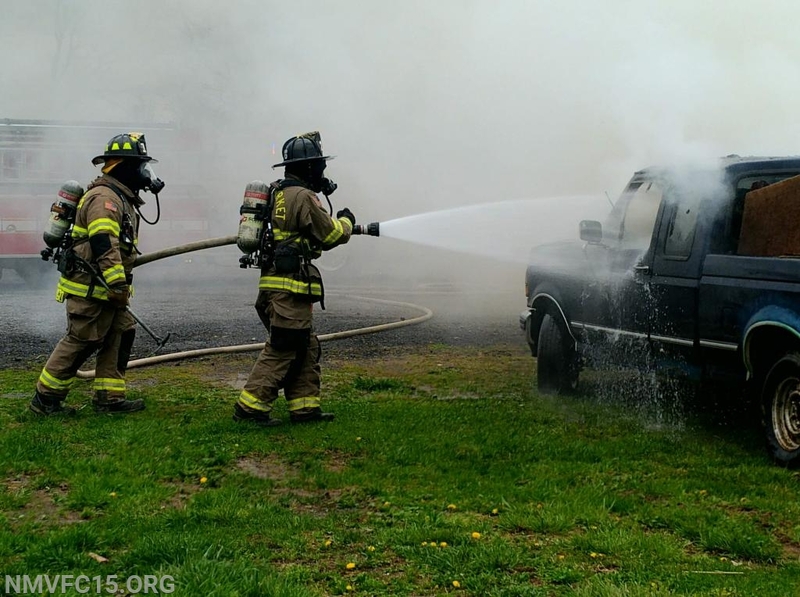 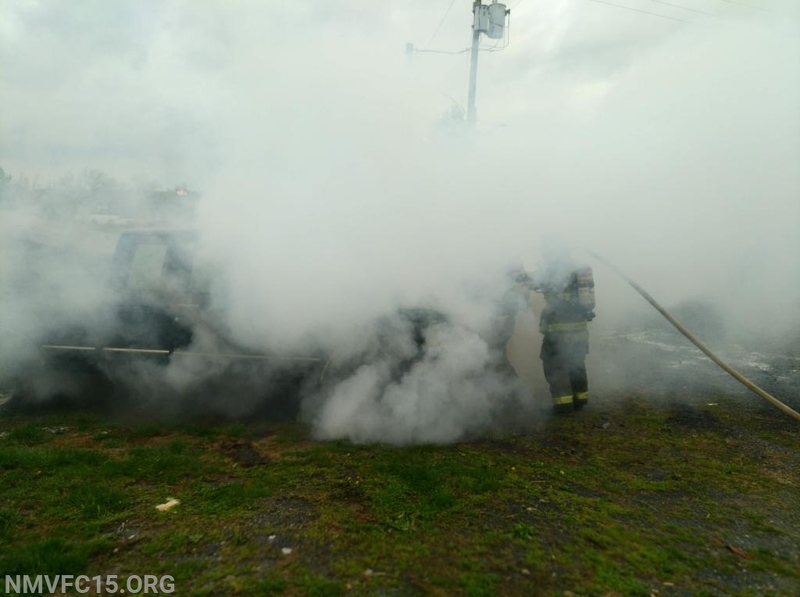 Sunday had a pickup truck and made it into 3 separate burns first engine compartment, second was the cab, and third was the bed of the truck.